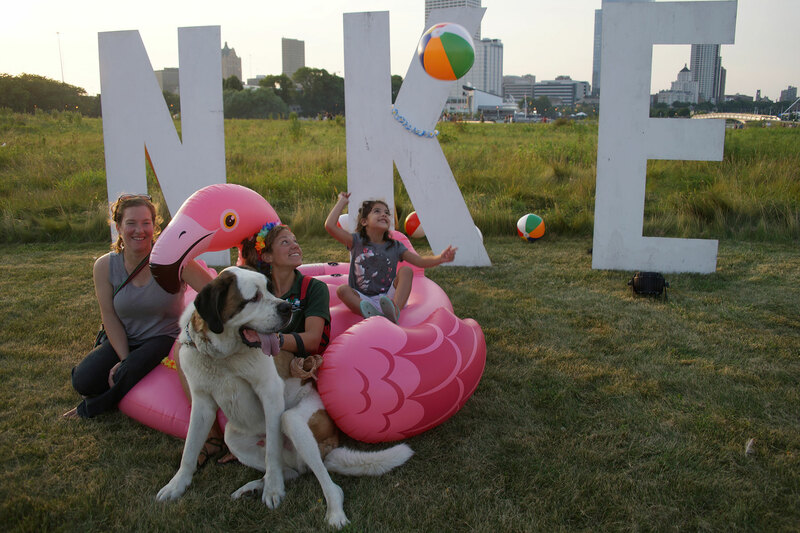 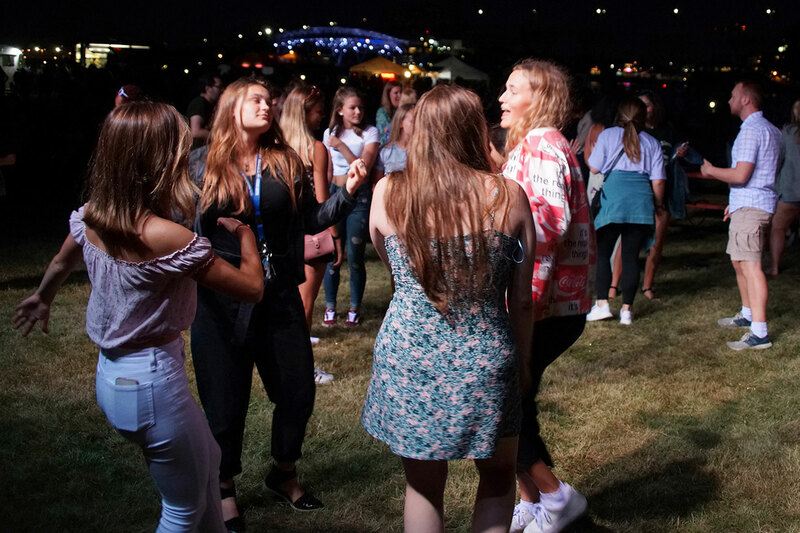 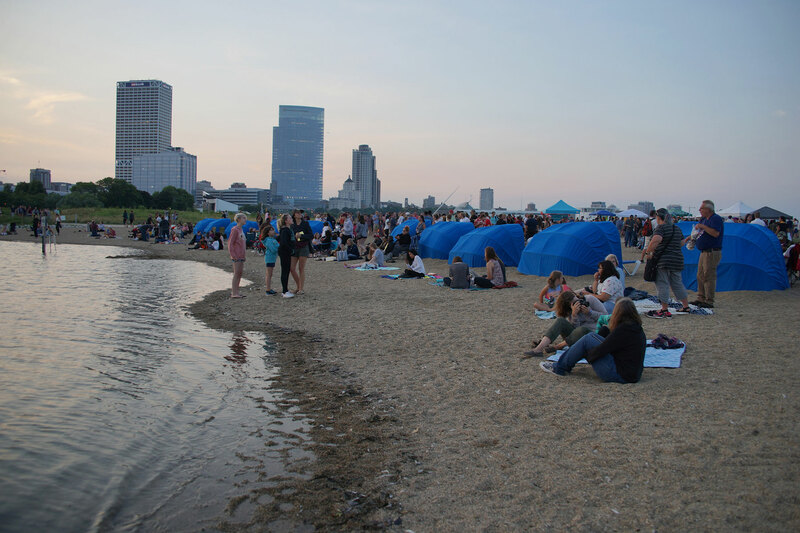 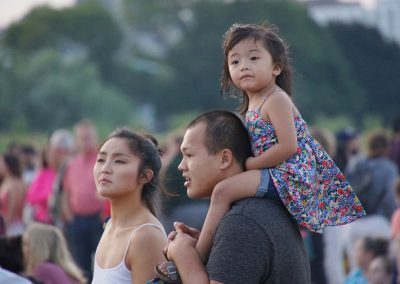 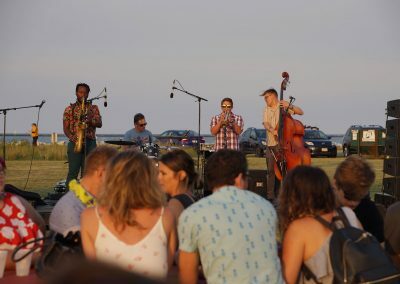 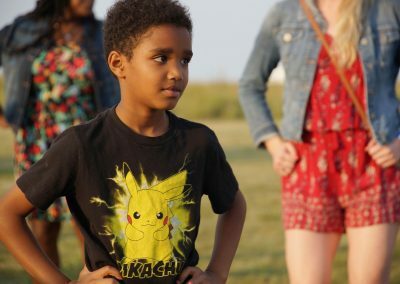 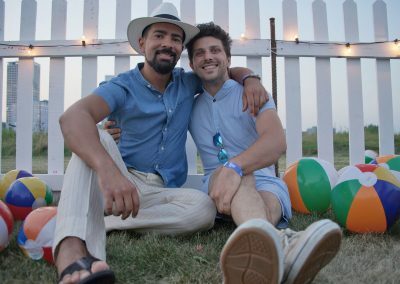 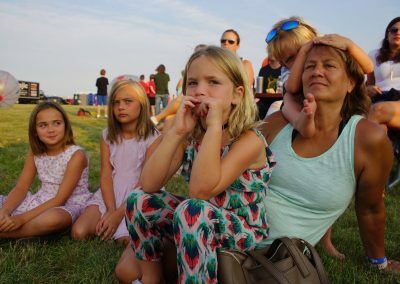 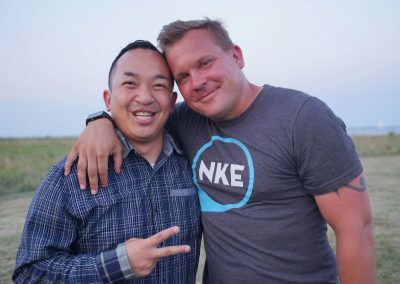 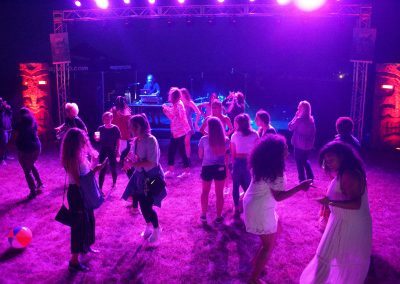 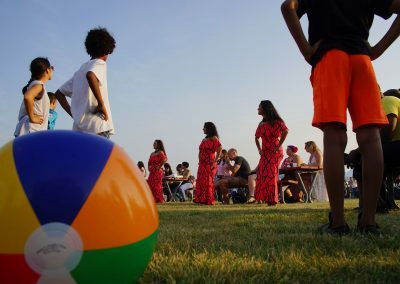 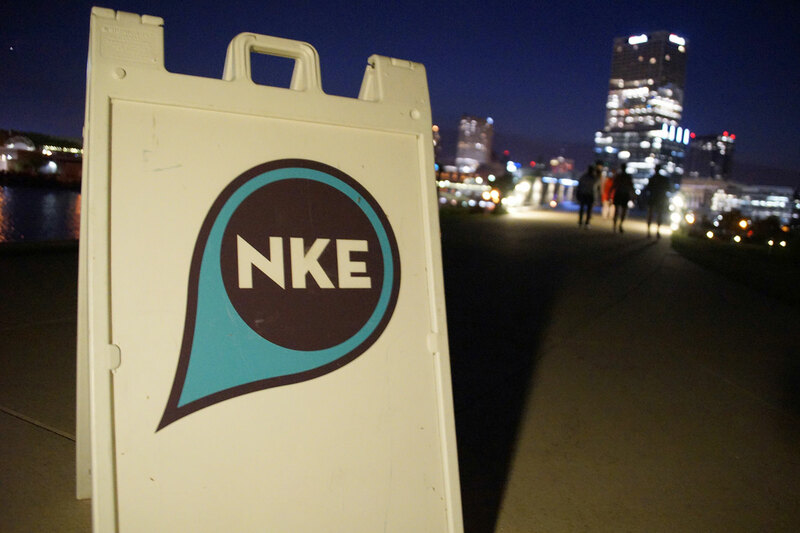 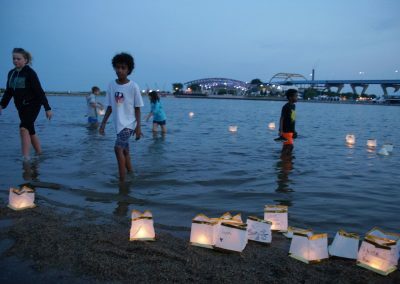 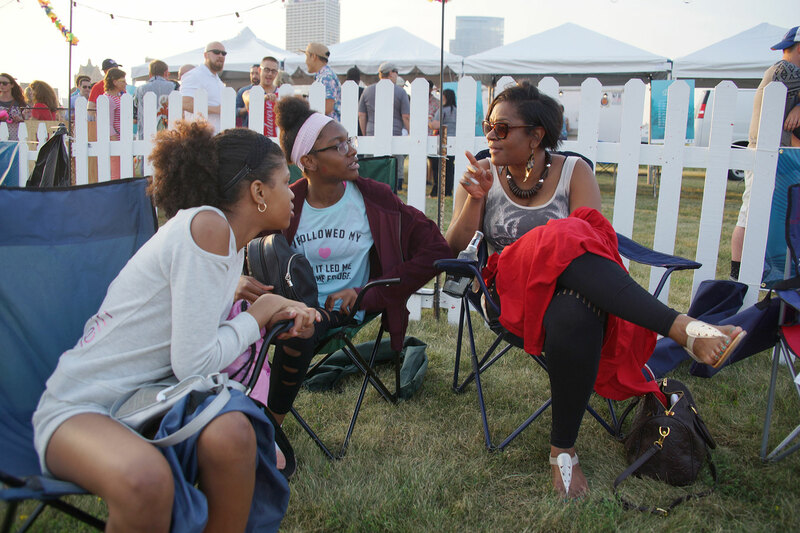 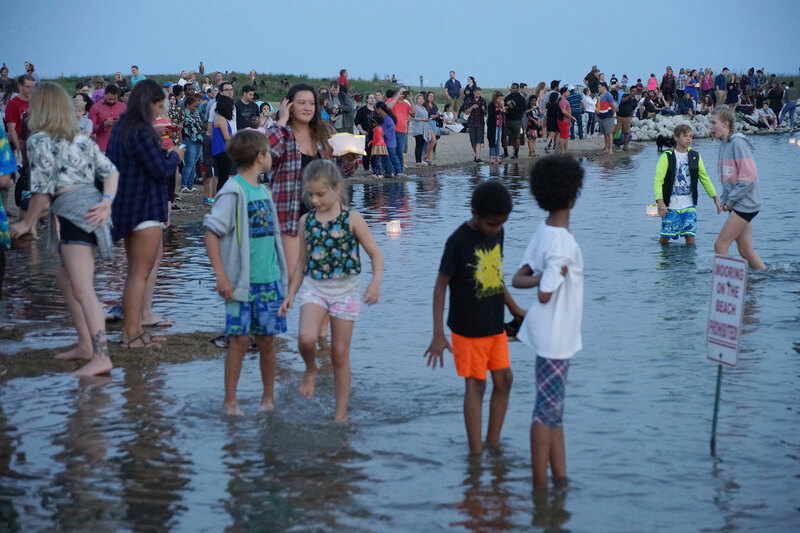 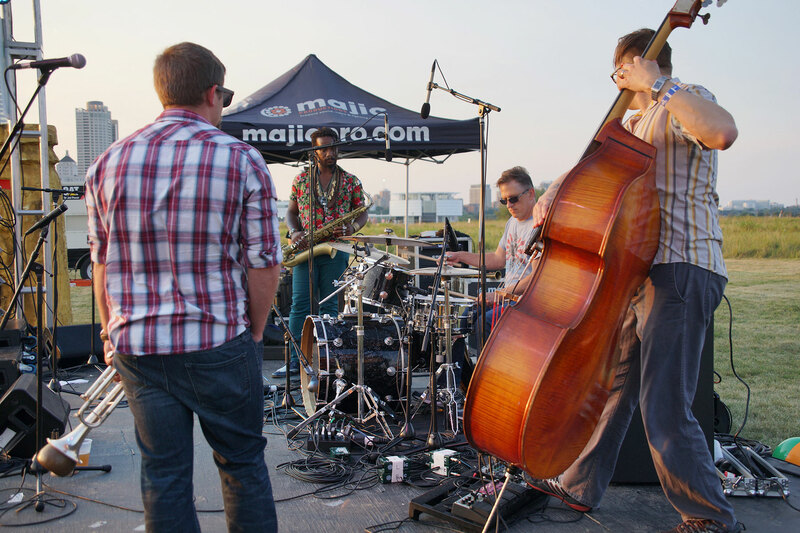 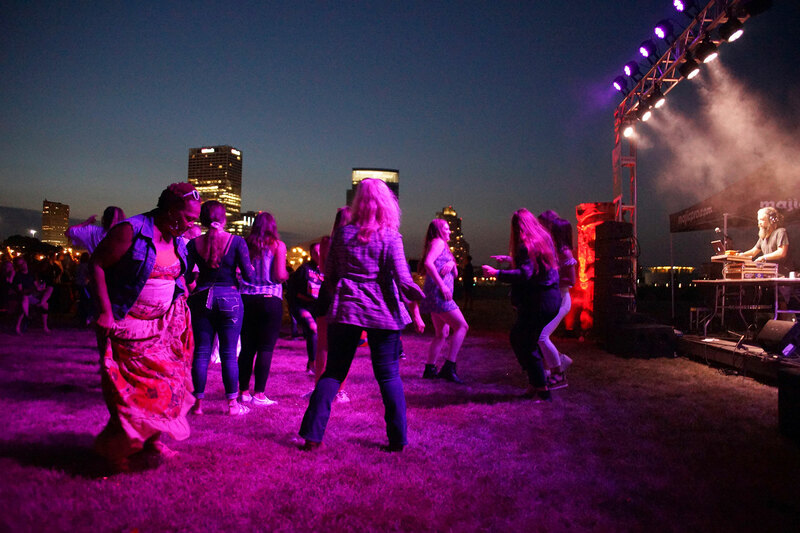 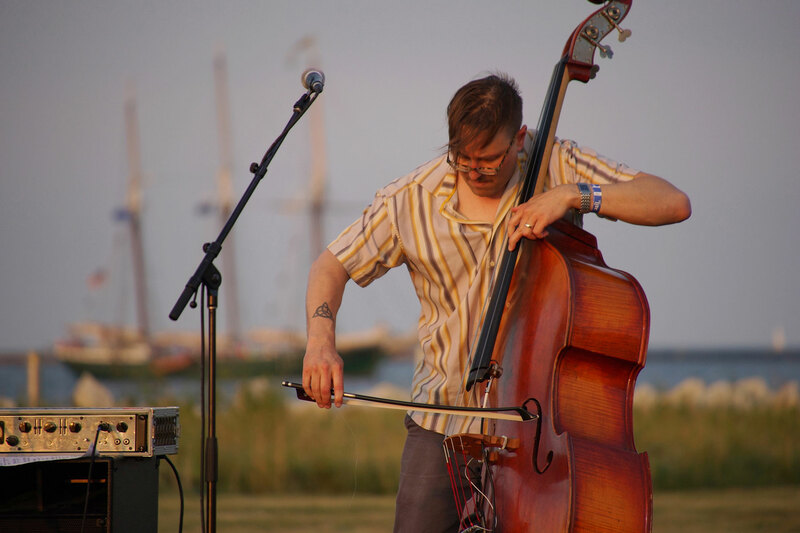 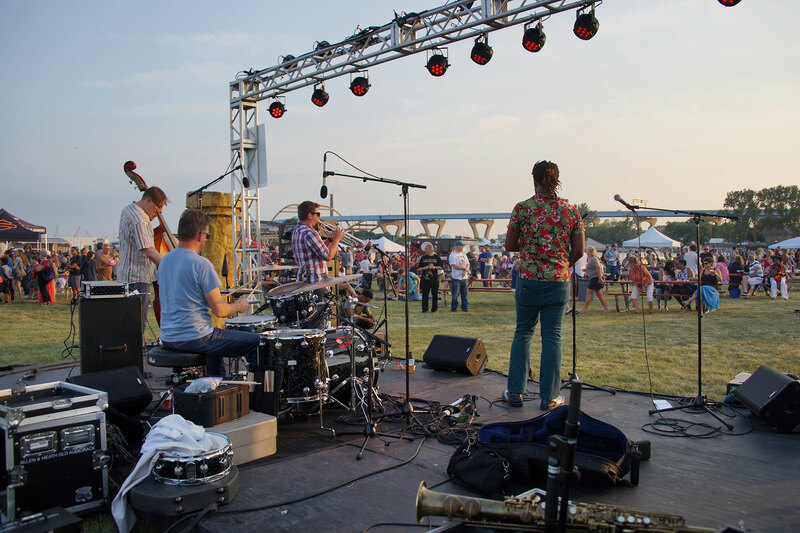 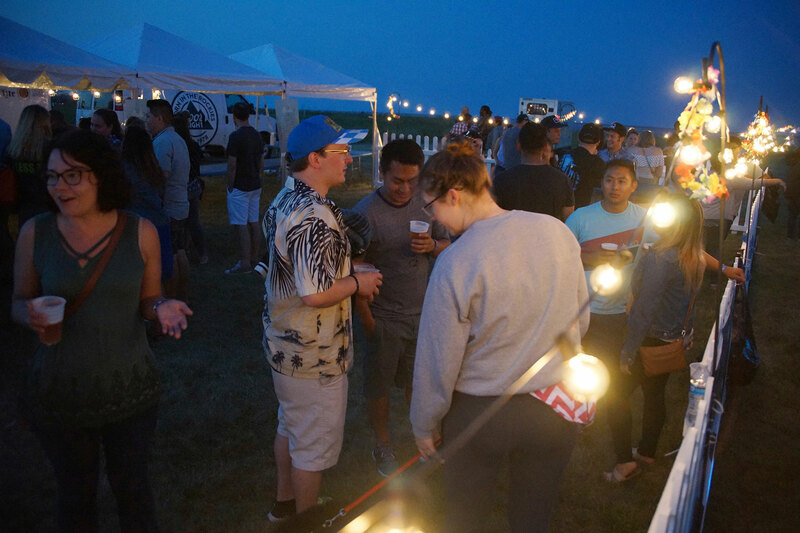 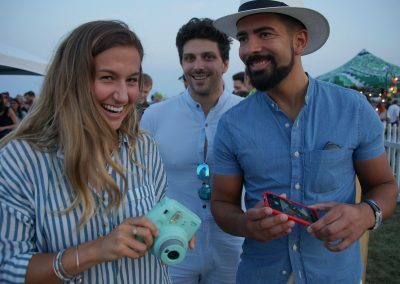 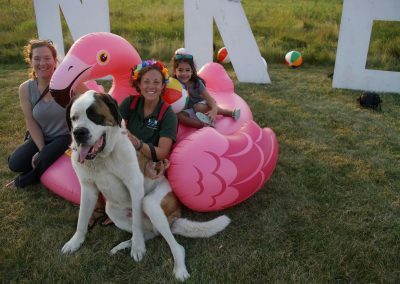 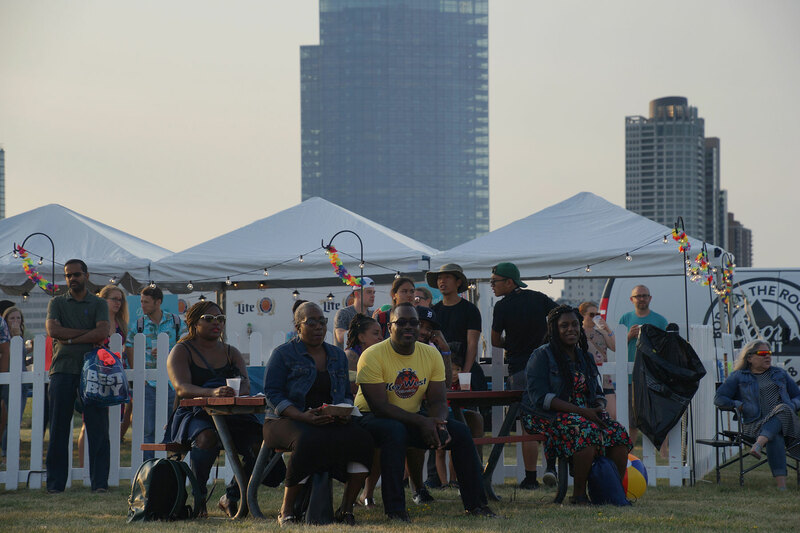 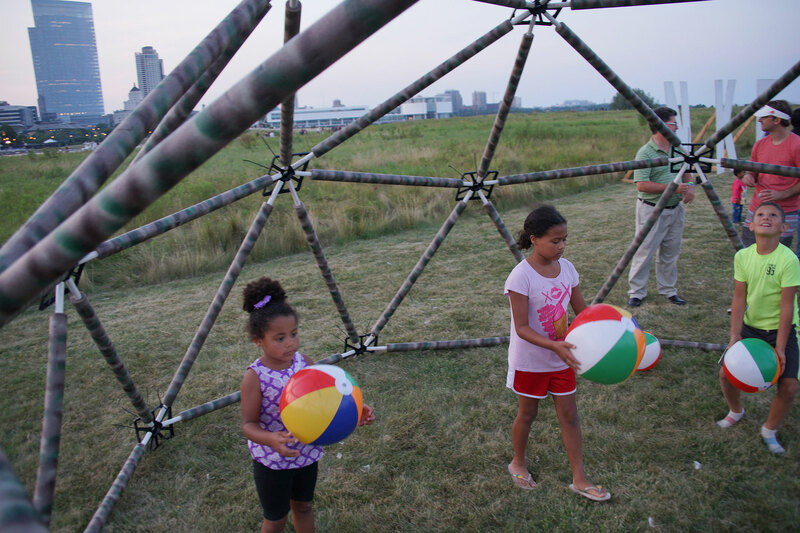 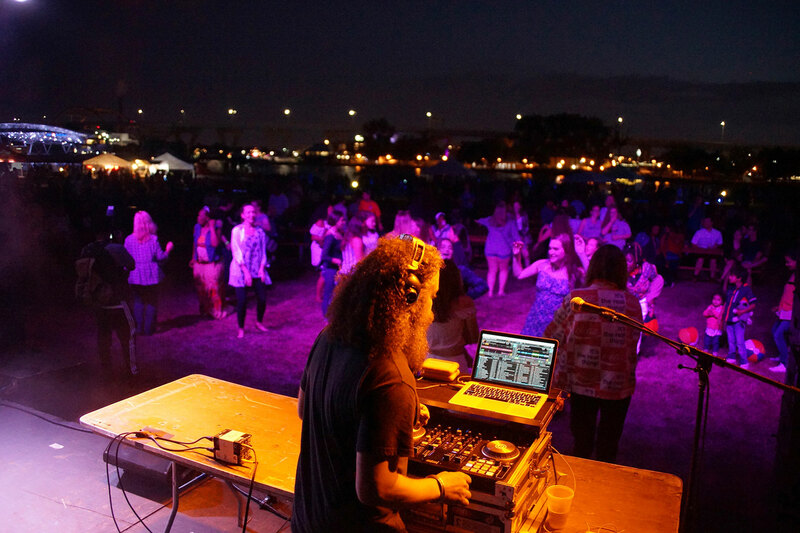 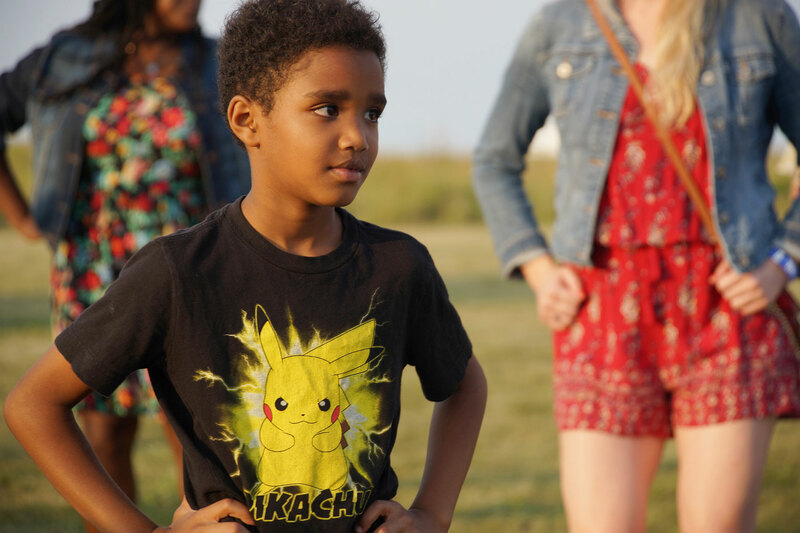 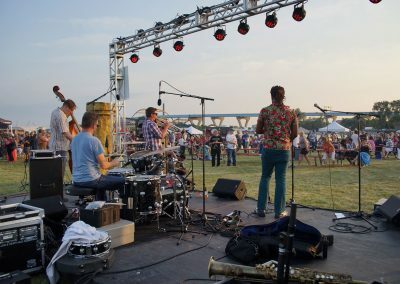 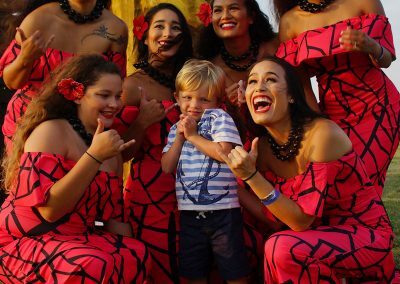 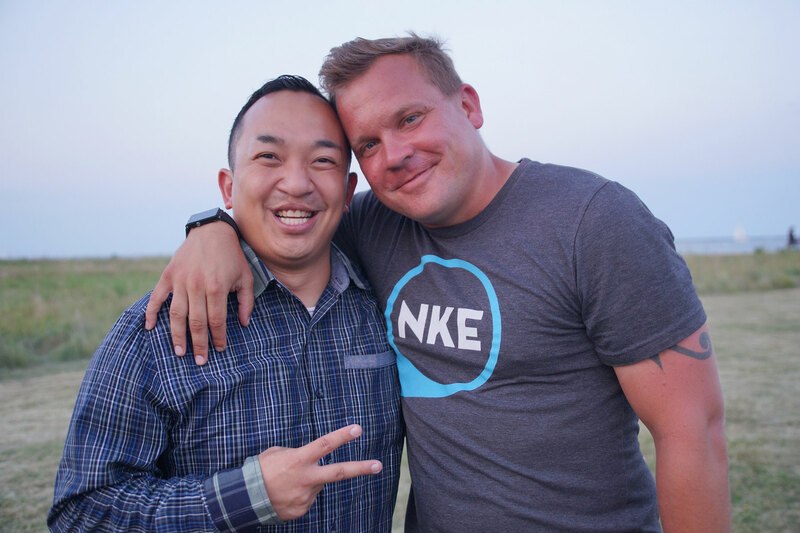 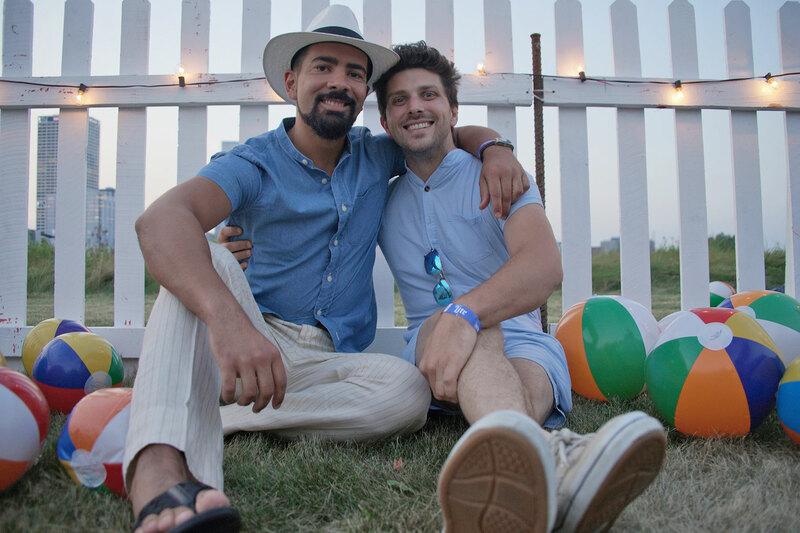 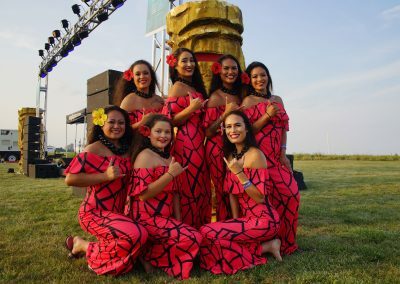 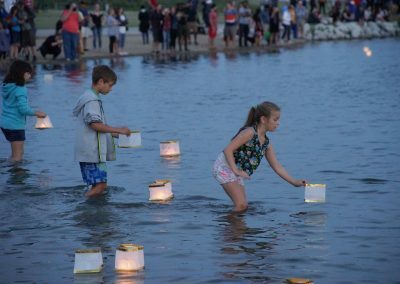 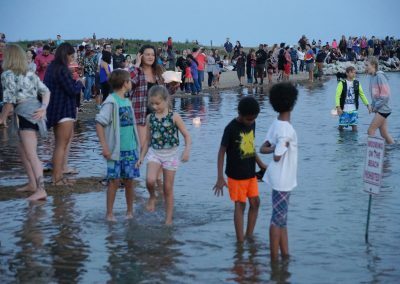 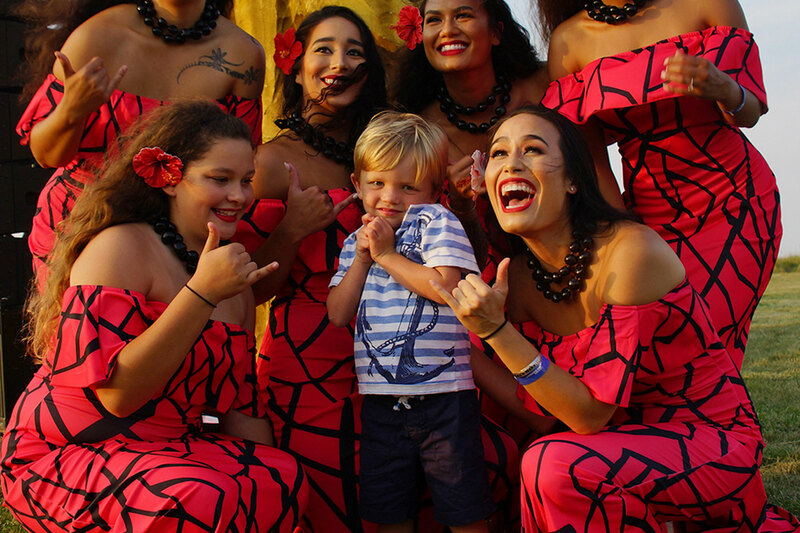 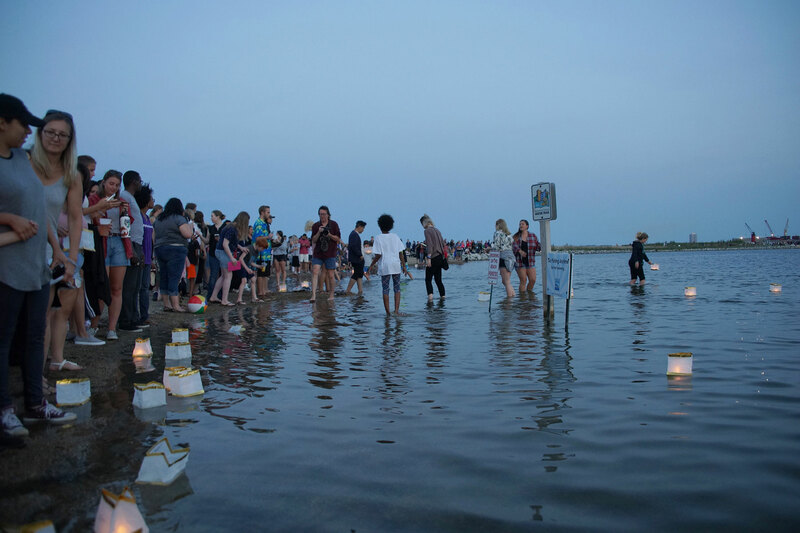 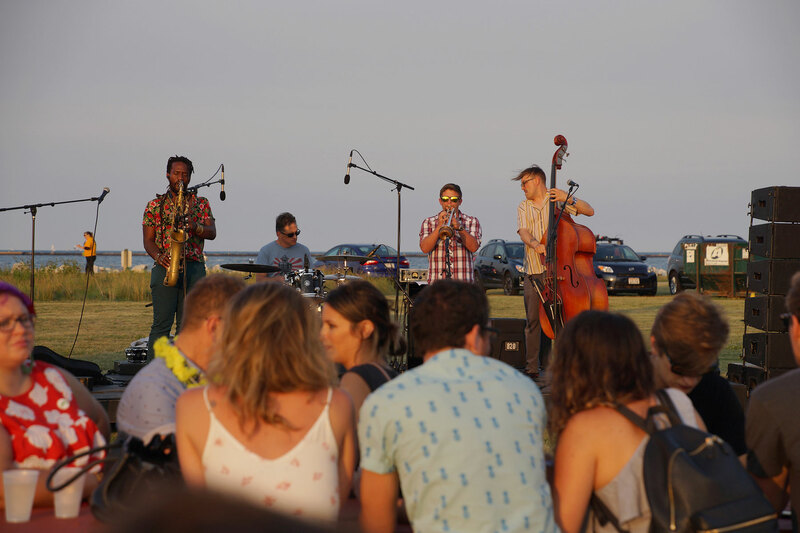 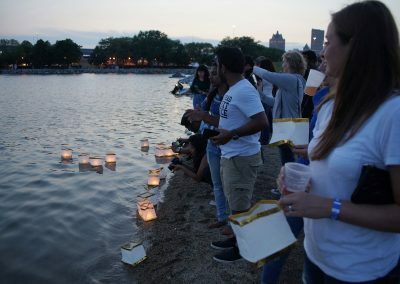 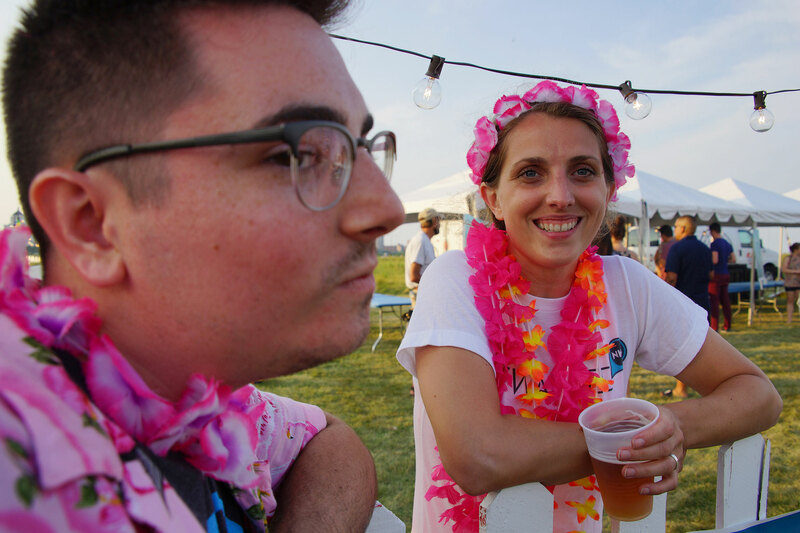 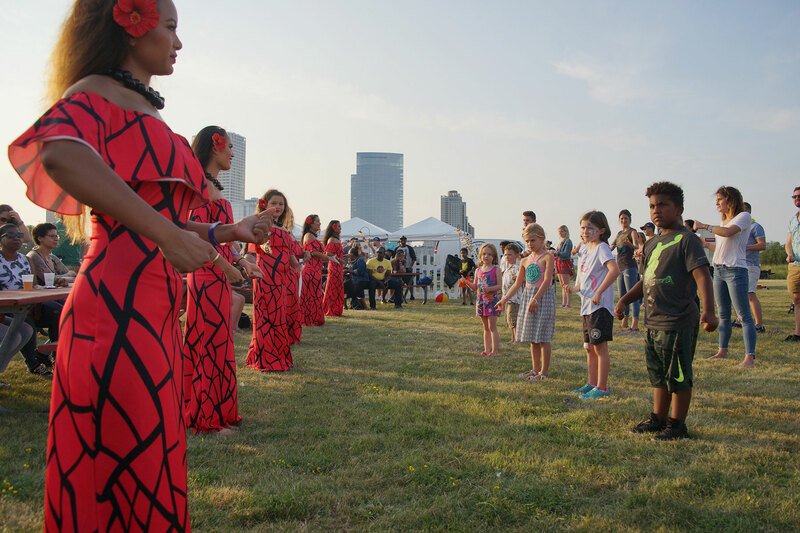 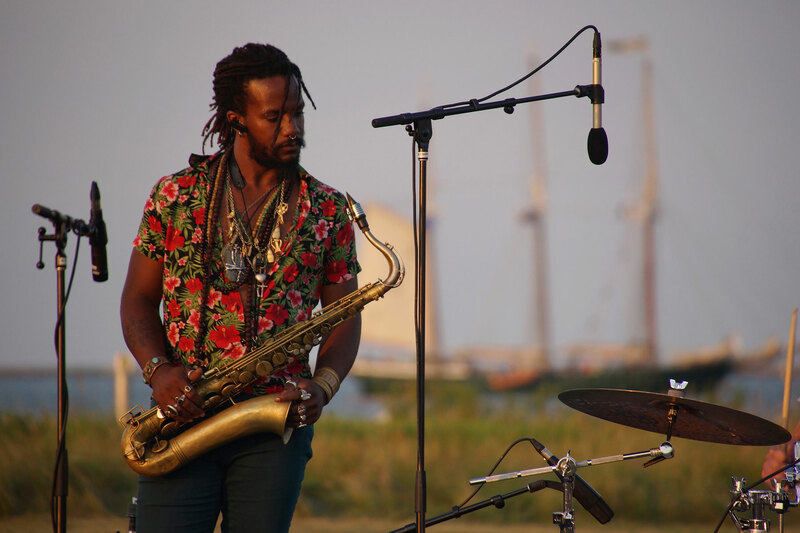 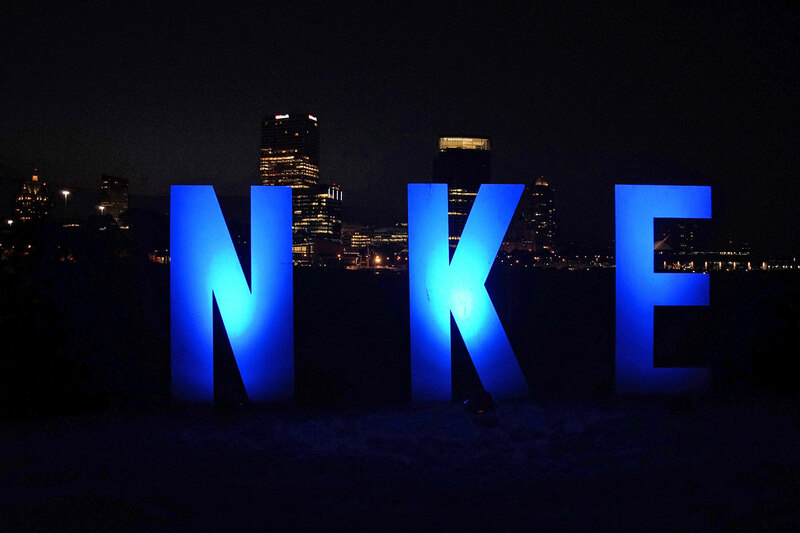 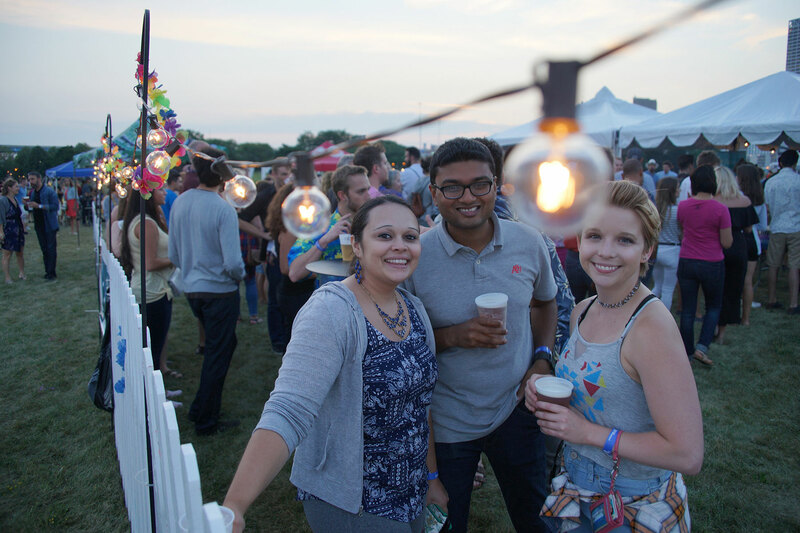 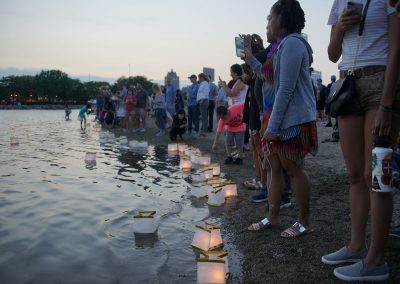 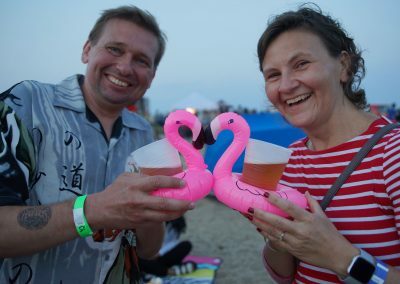 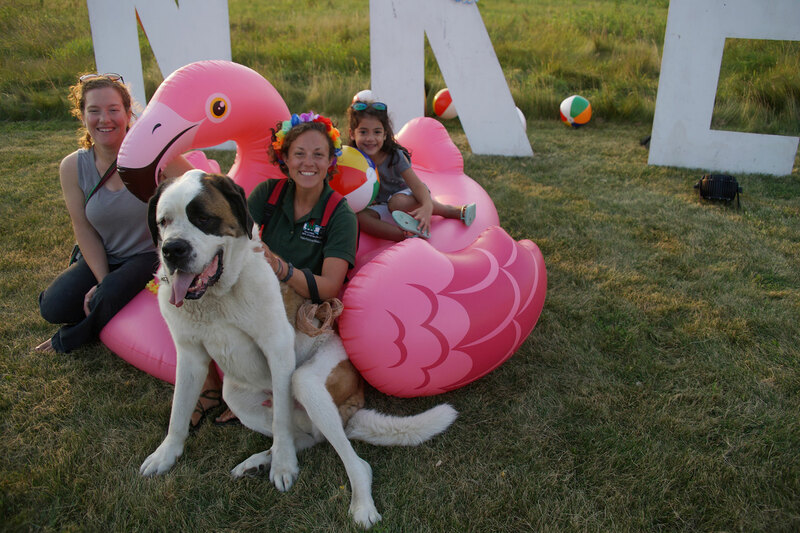 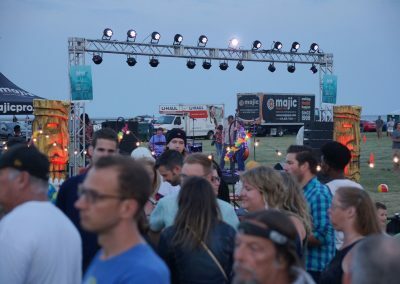 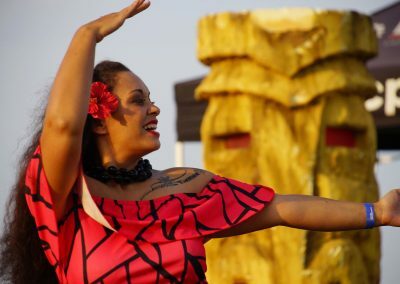 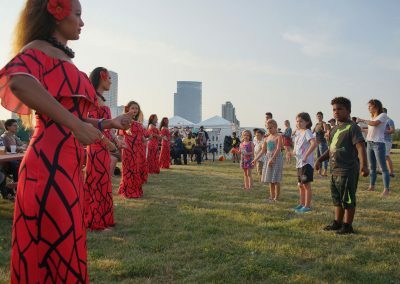 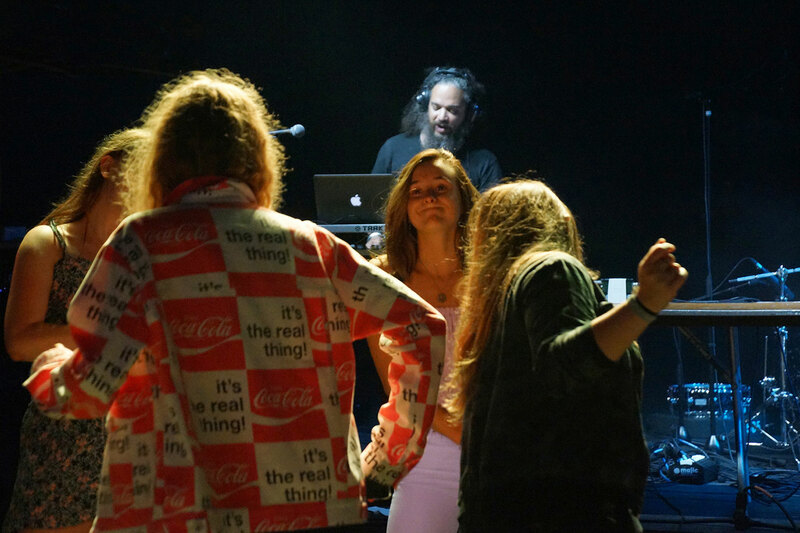 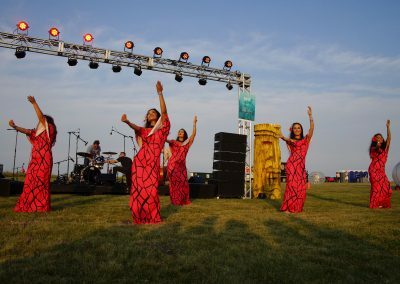 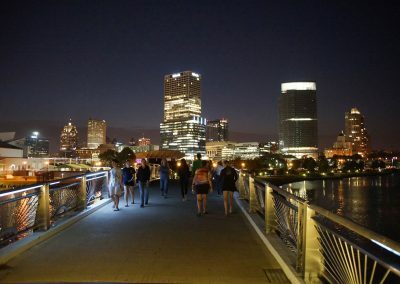 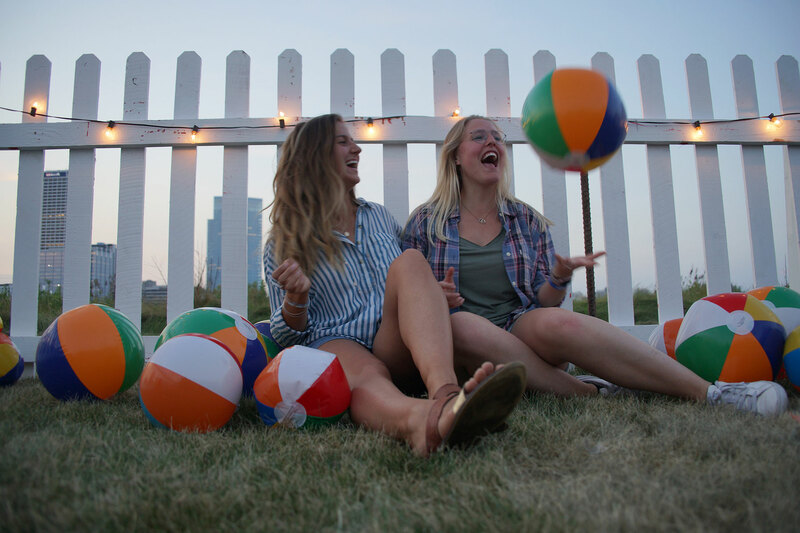 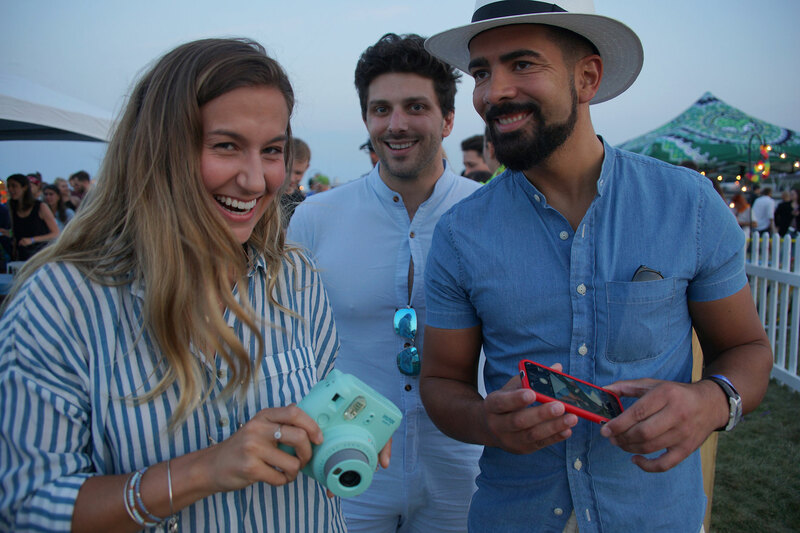 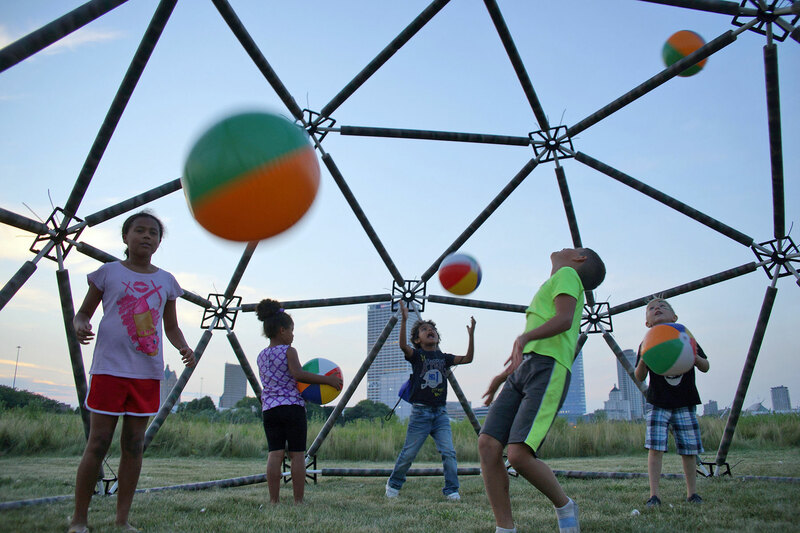 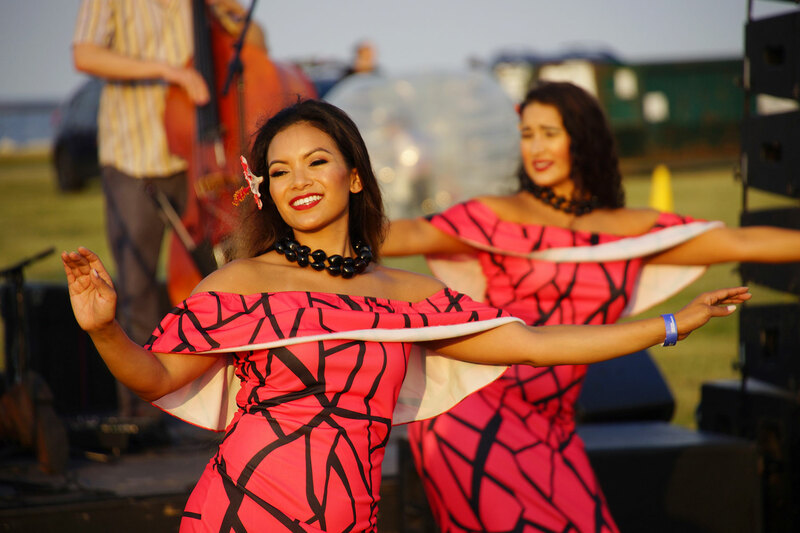 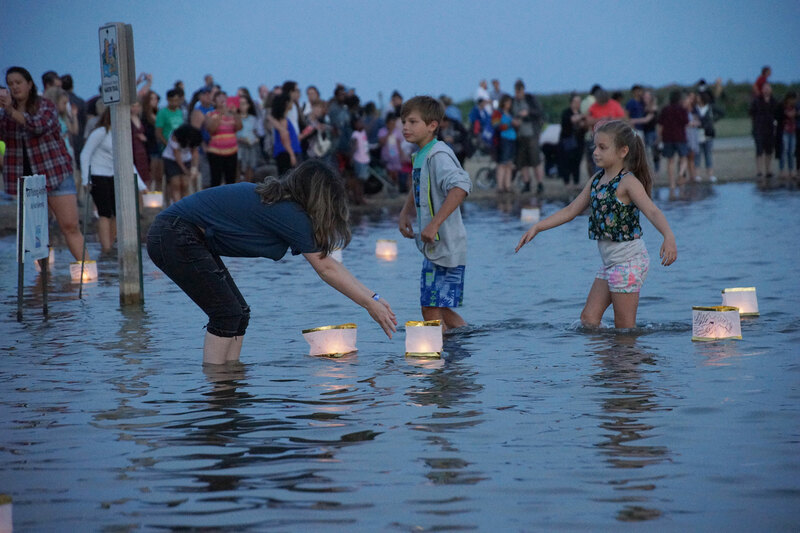 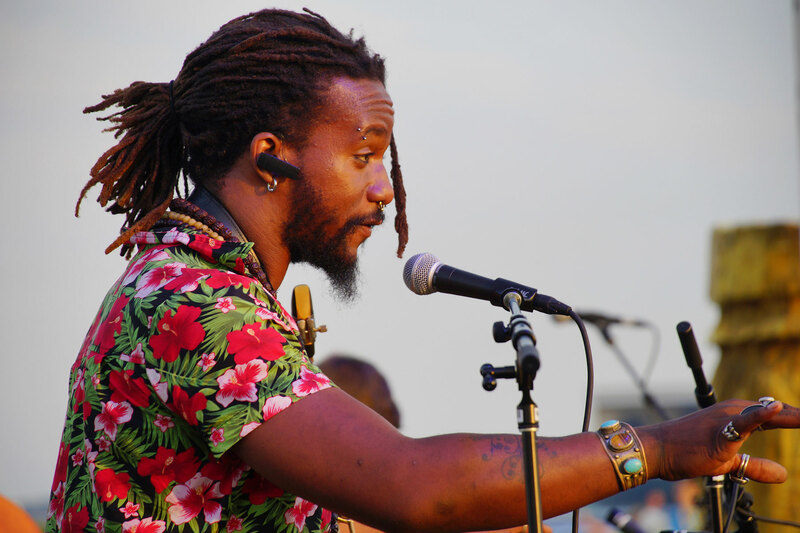 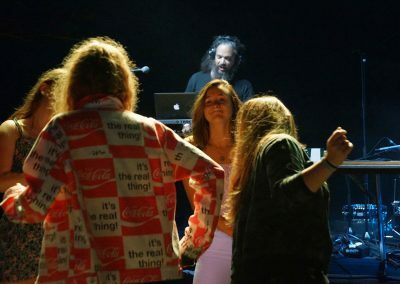 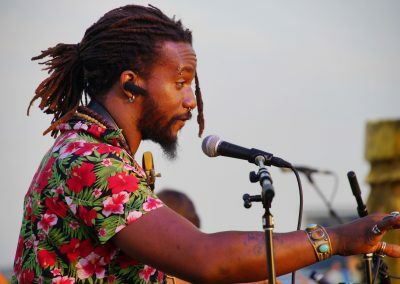 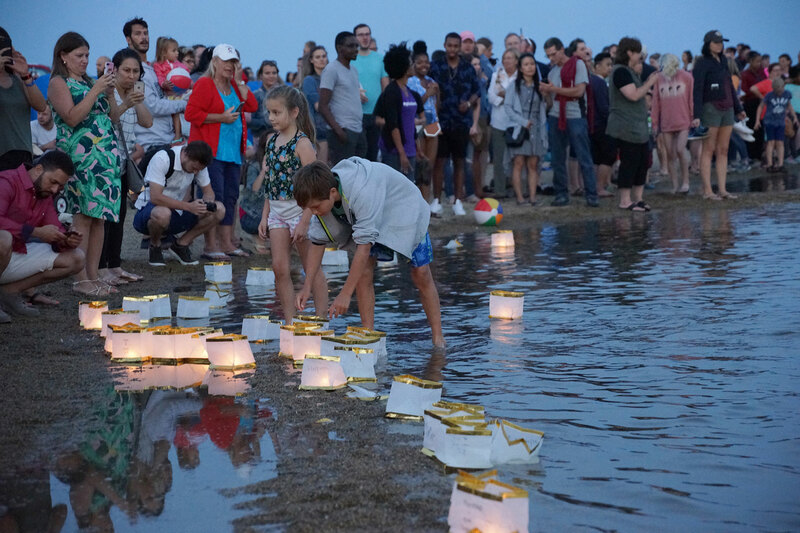 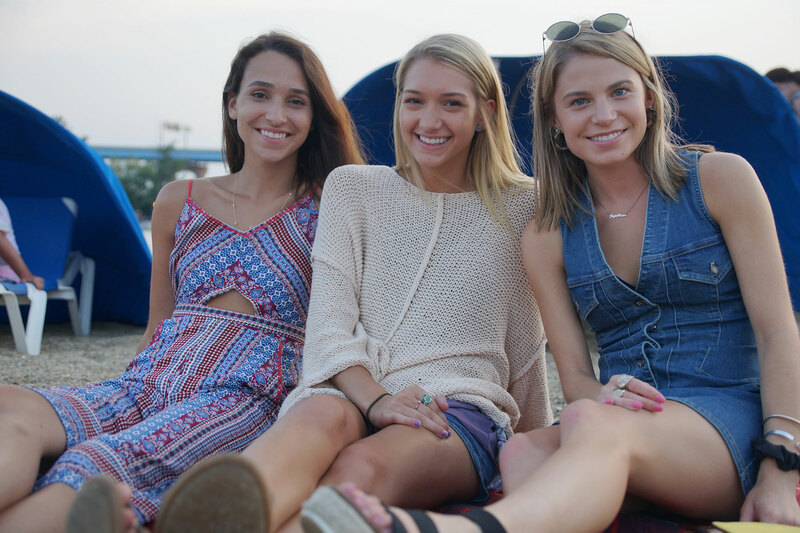 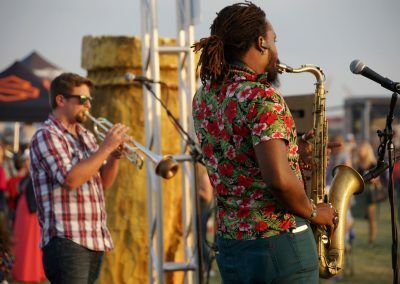 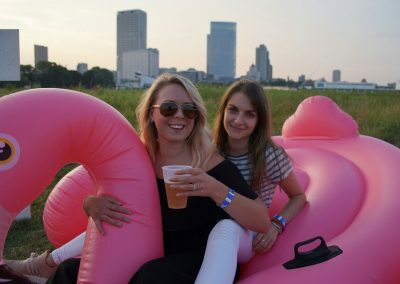 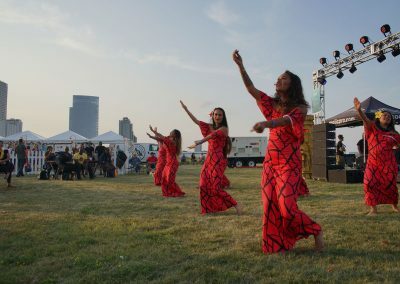 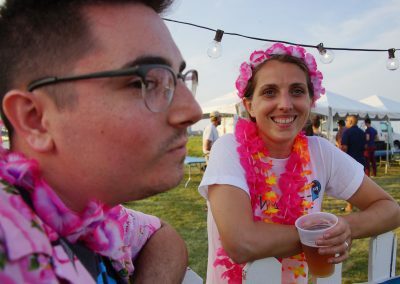 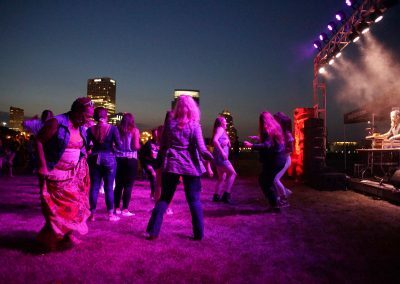 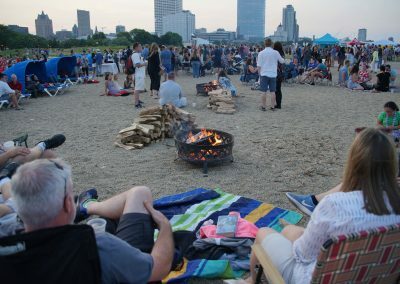 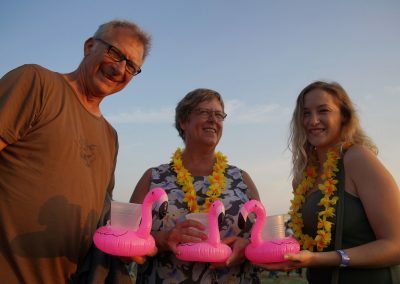 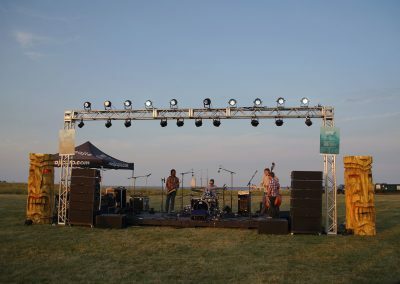 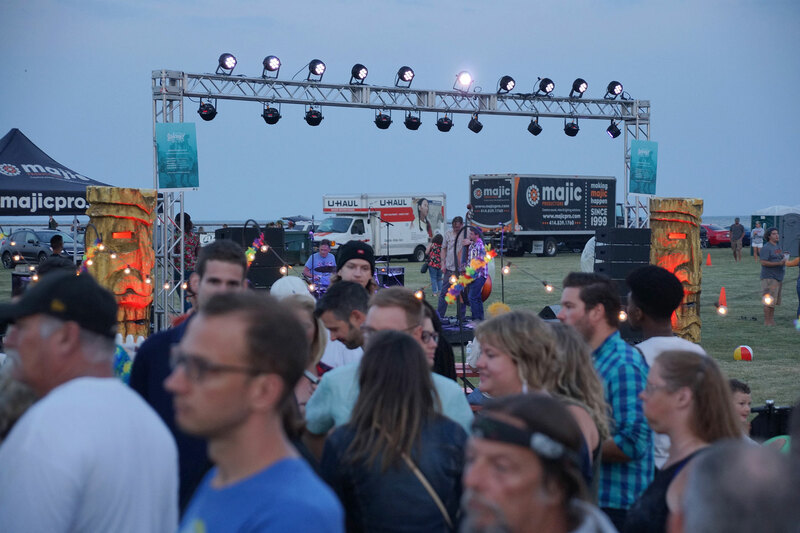 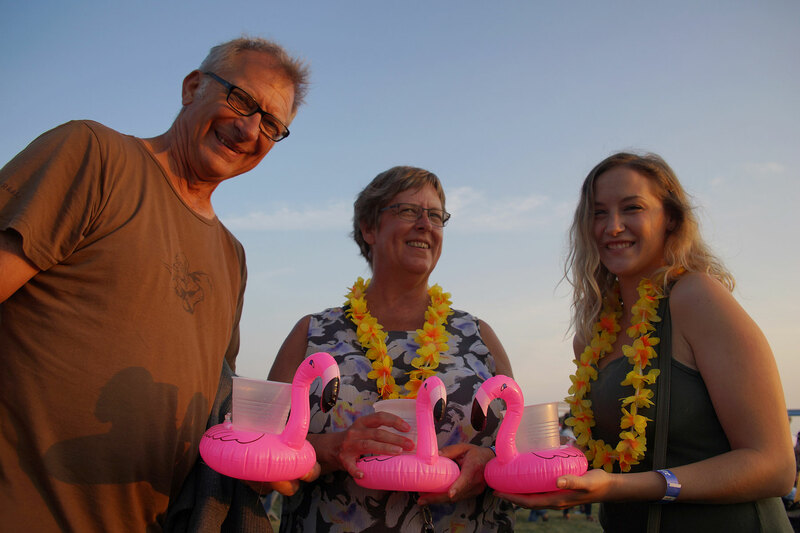 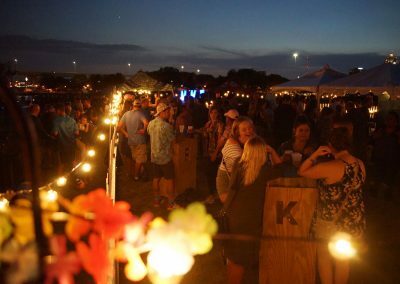 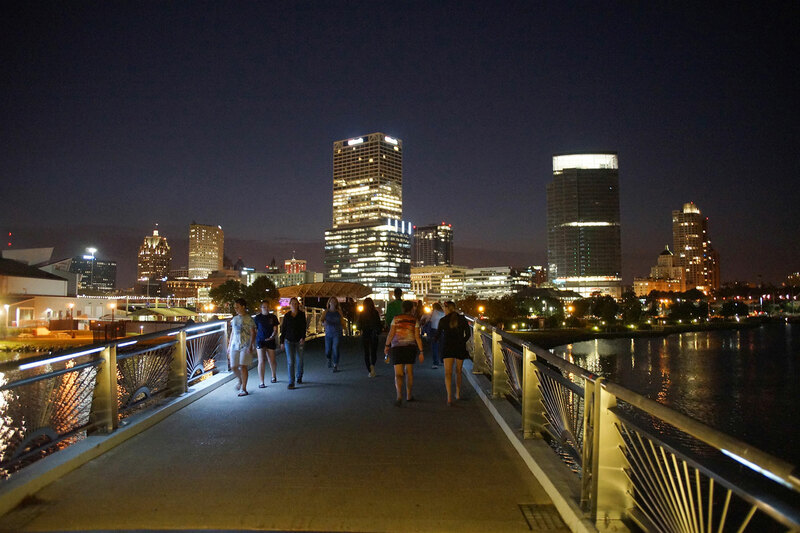 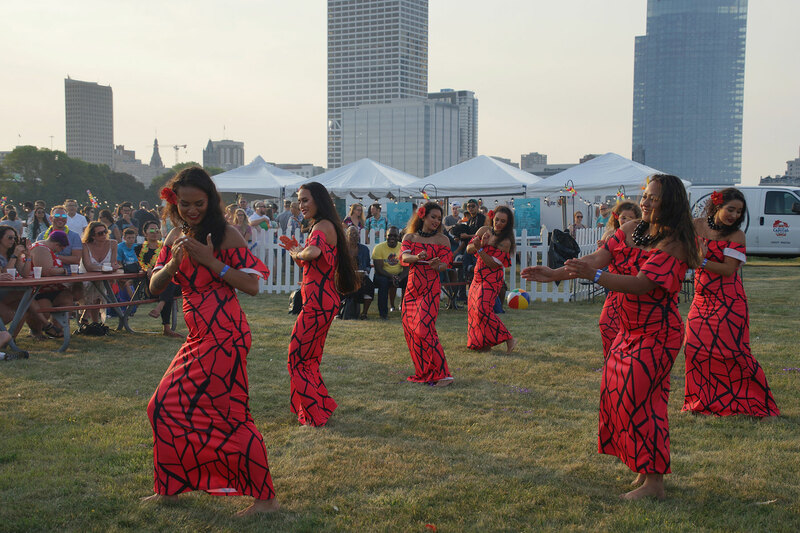 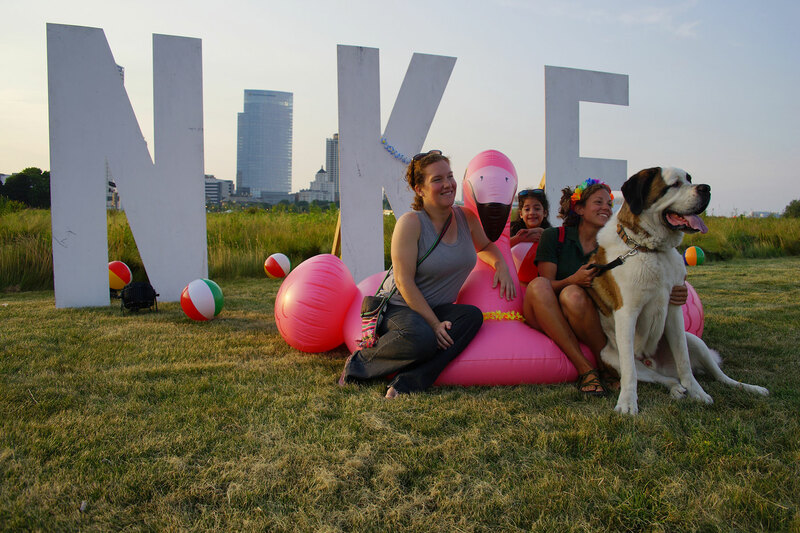 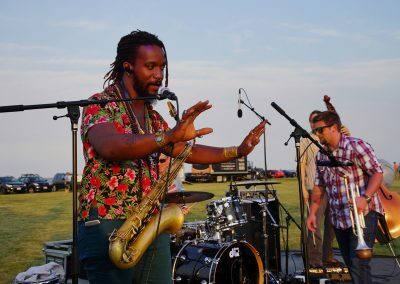 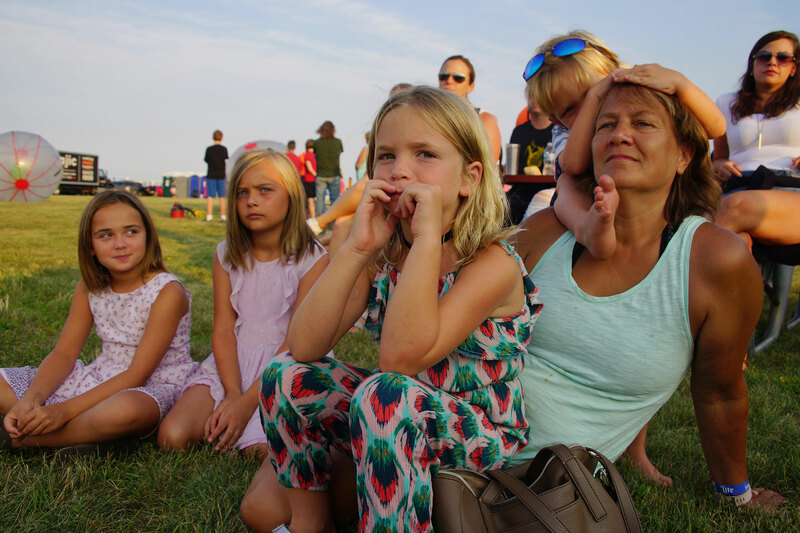 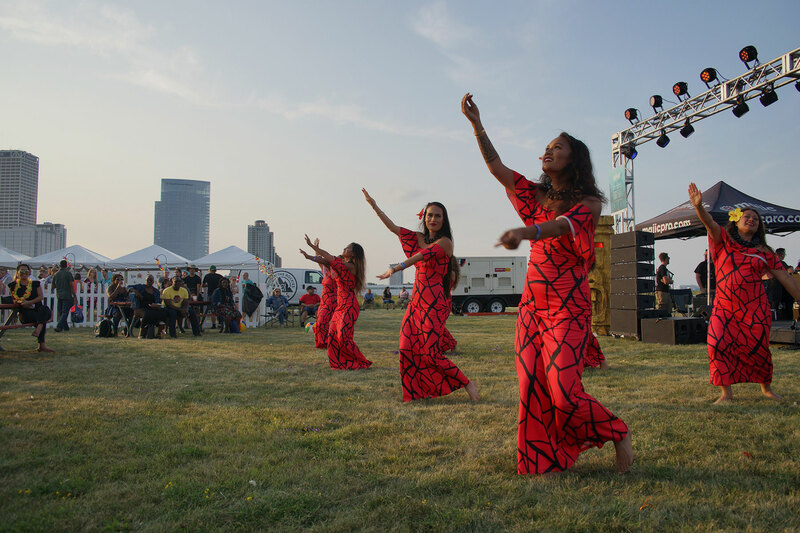 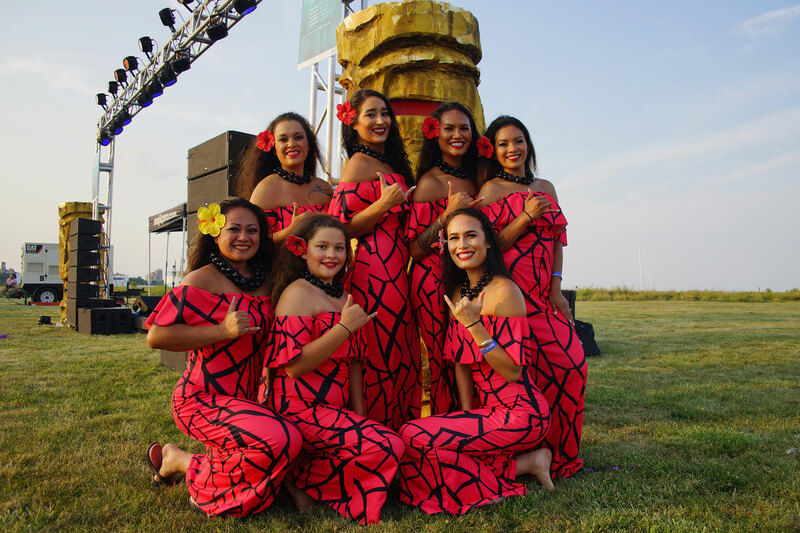 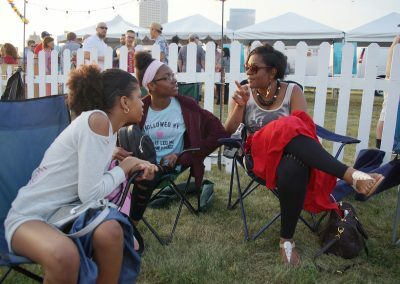 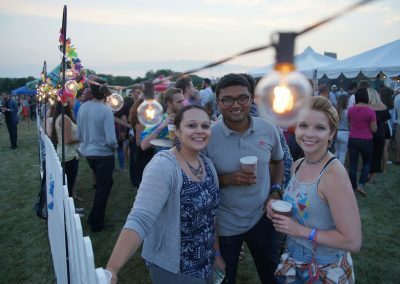 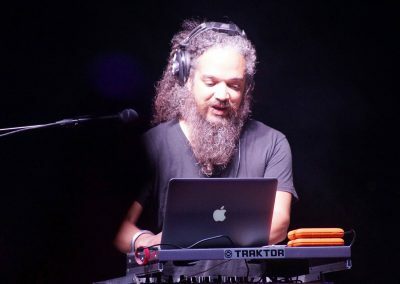 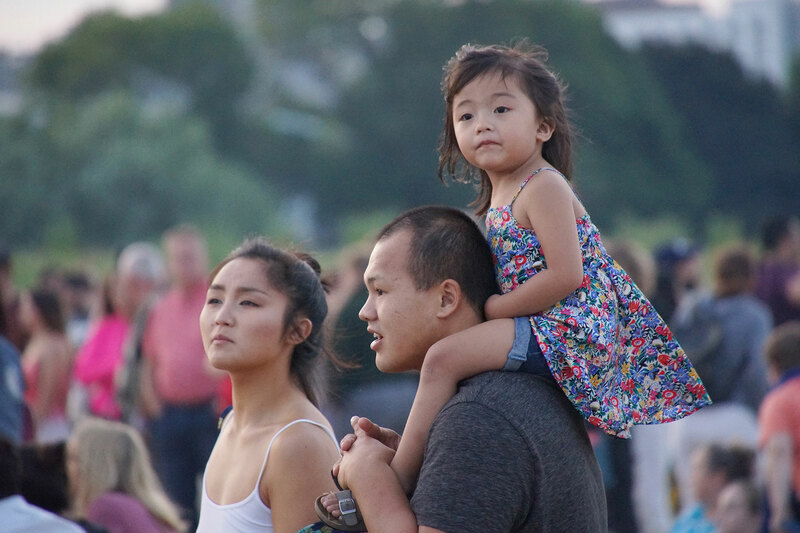 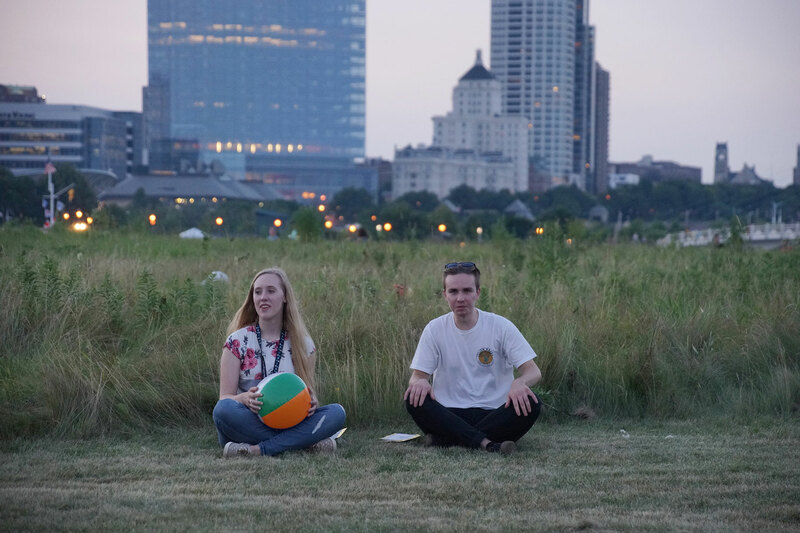 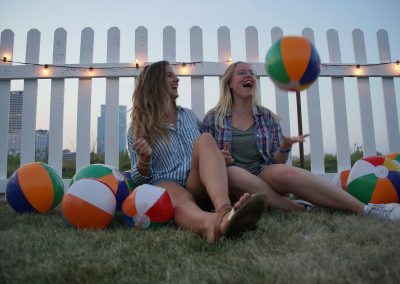 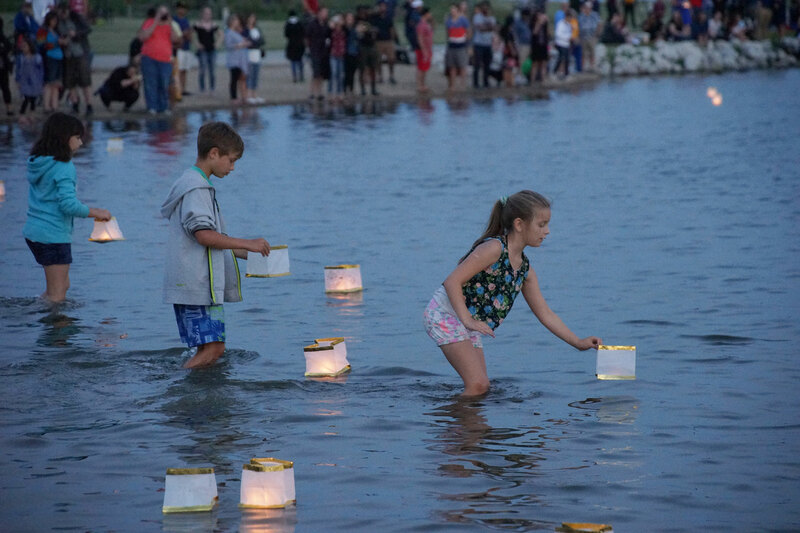 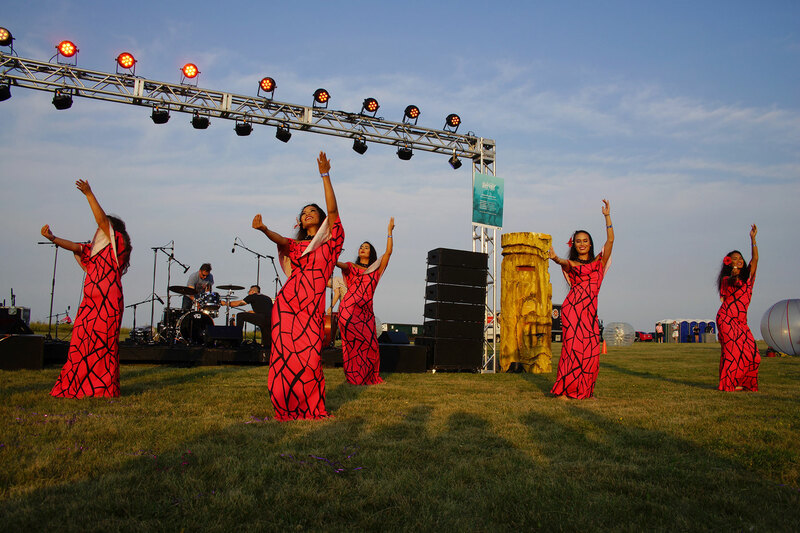 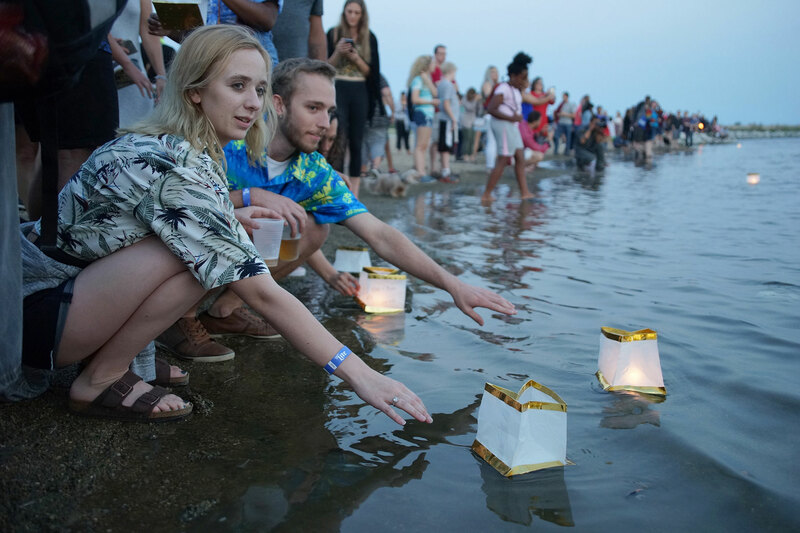 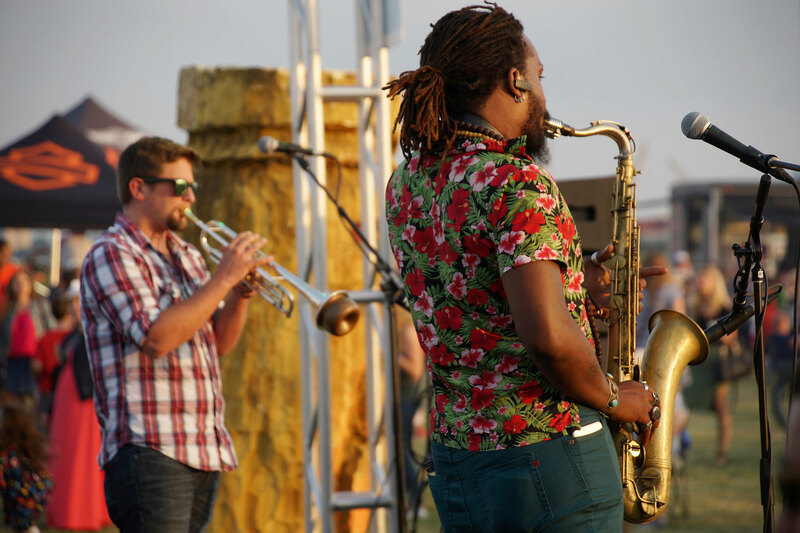 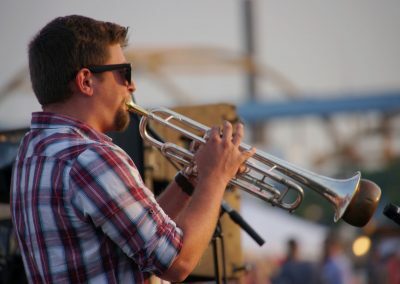 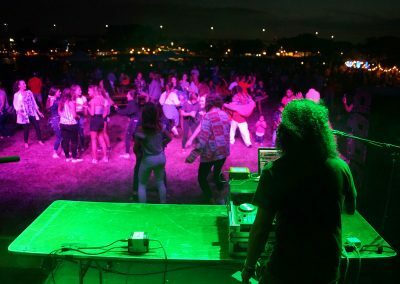 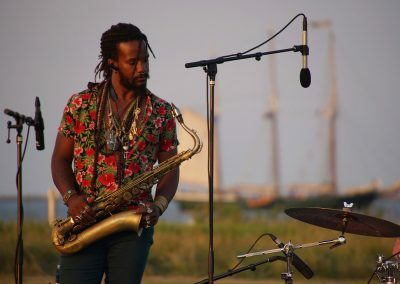 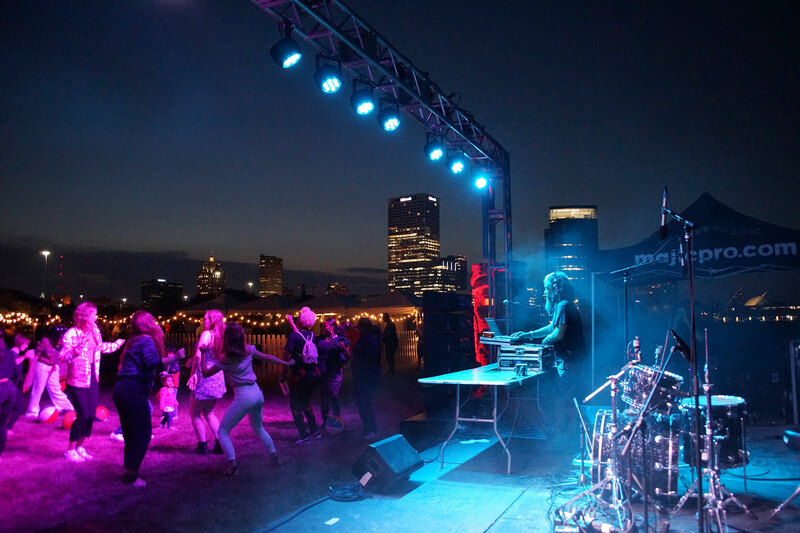 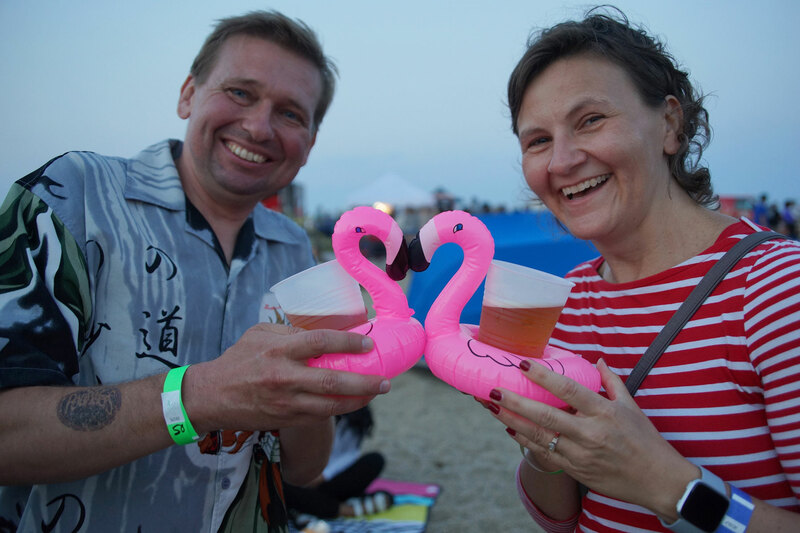 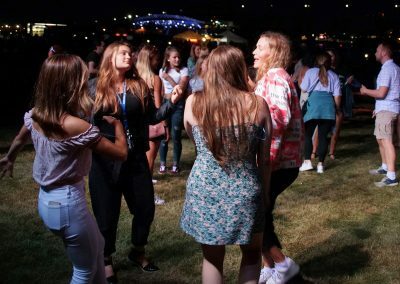 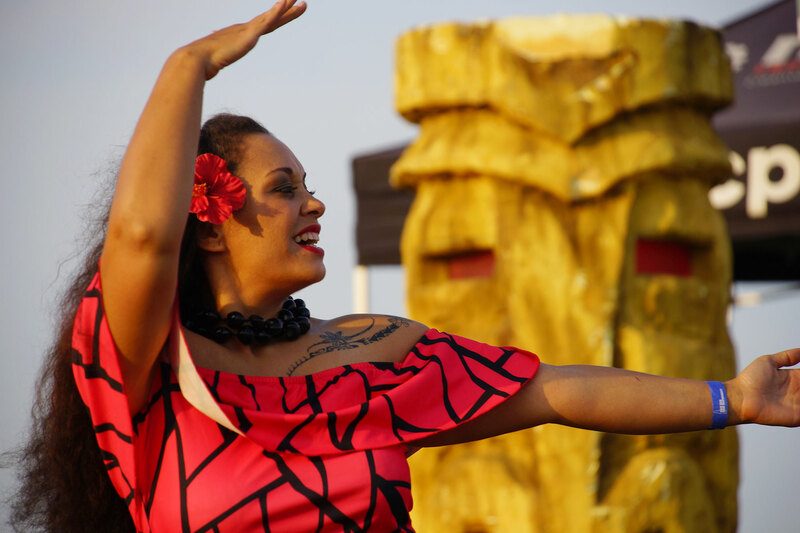 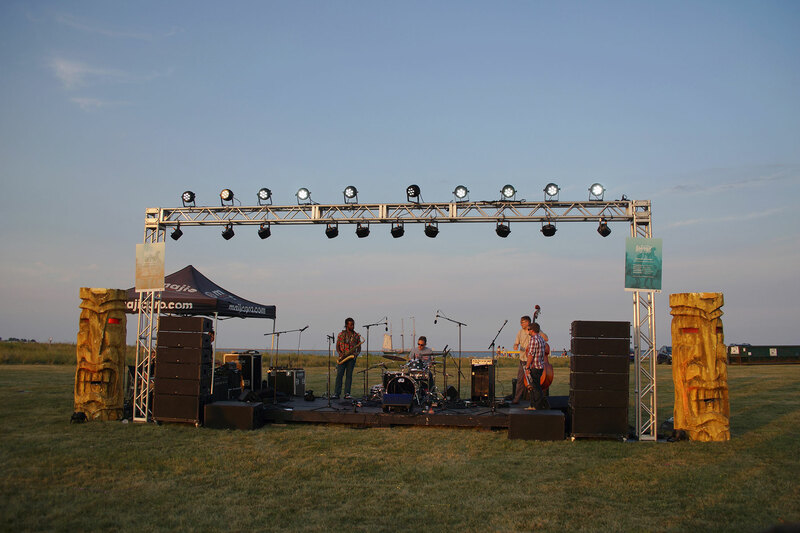 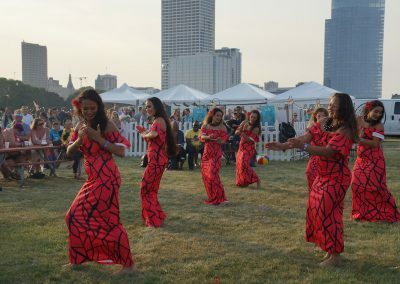 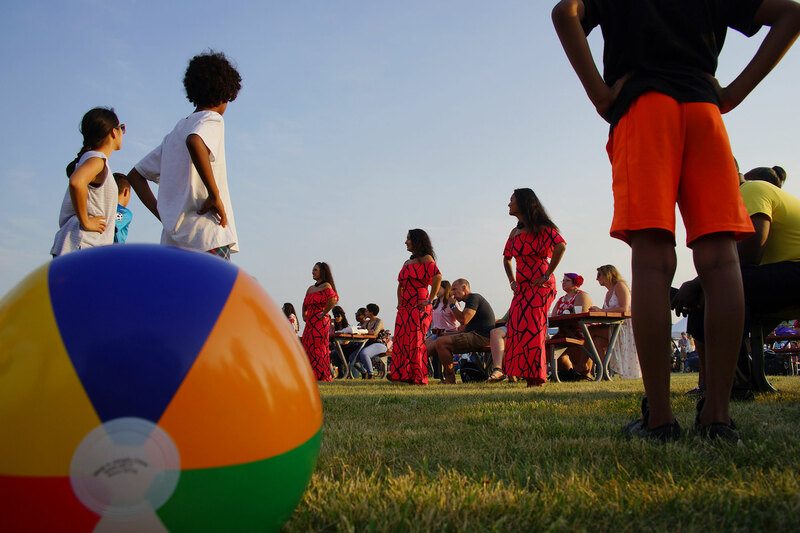 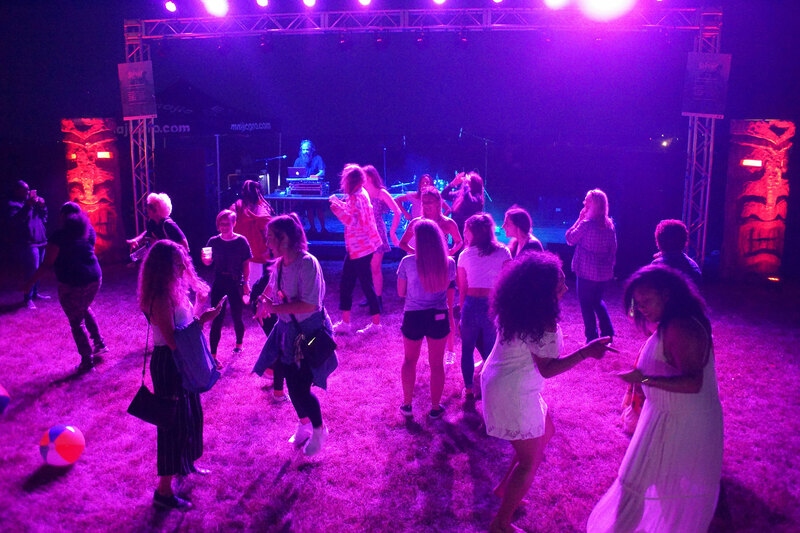 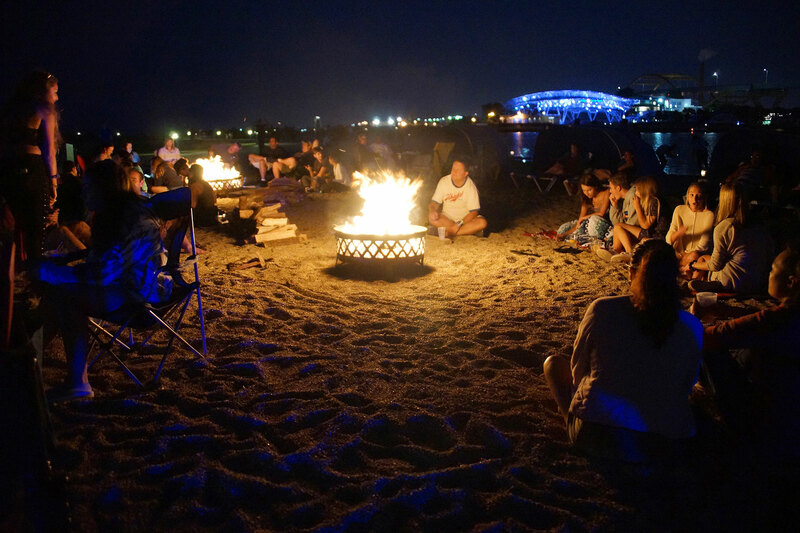 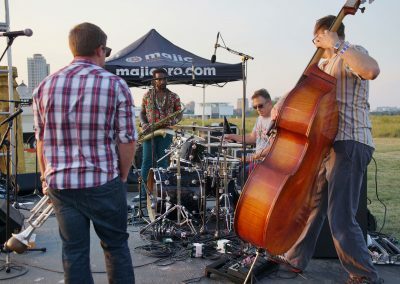 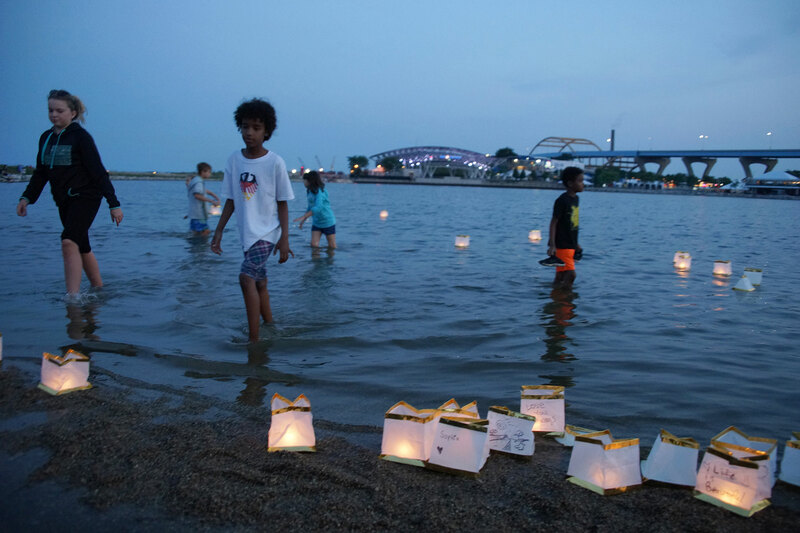 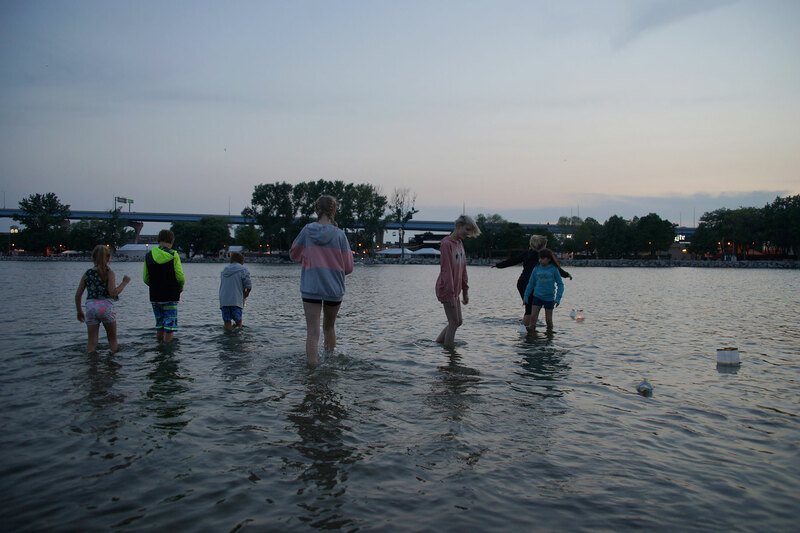 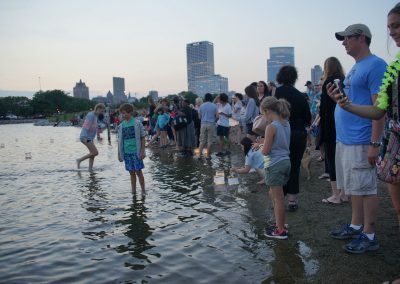 NEWaukee hosted the 8th annual Urban Island Beach Party at Lakeshore State Park on August 3, with the addition of a floating lantern celebration to support Friends of Lakeshore State Park. 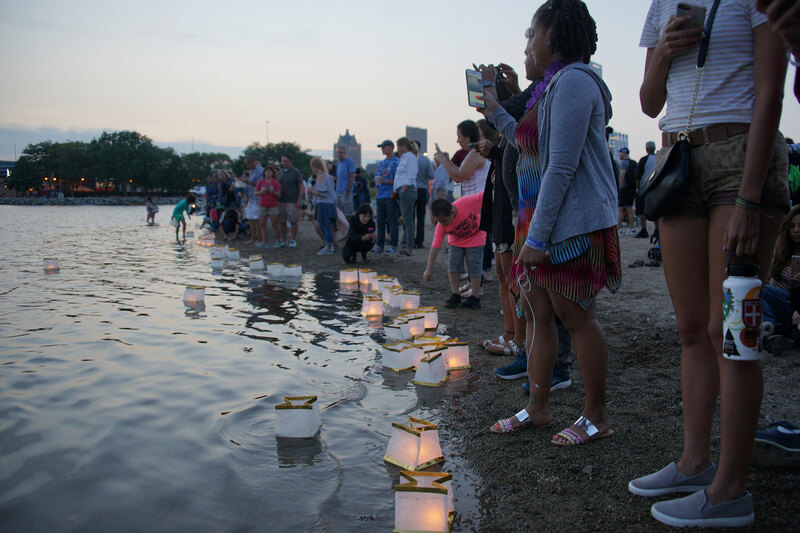 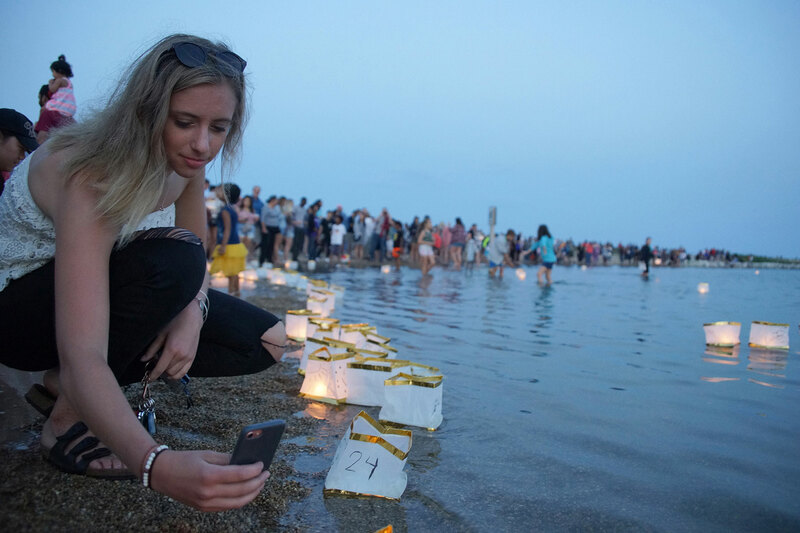 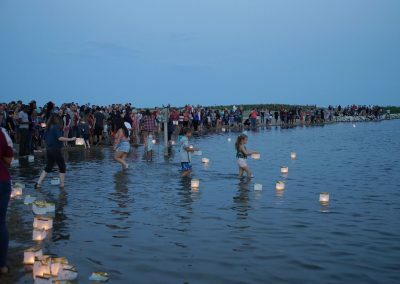 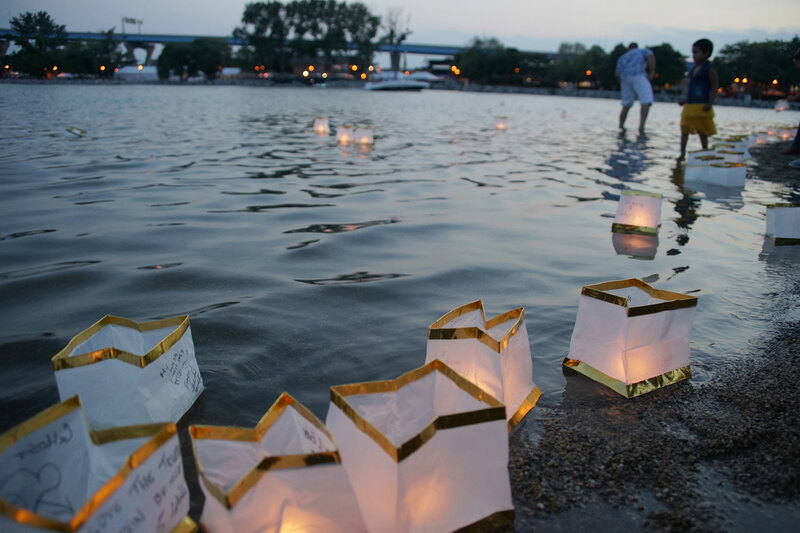 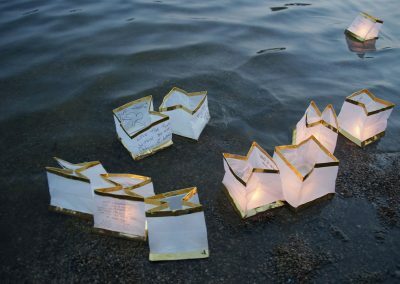 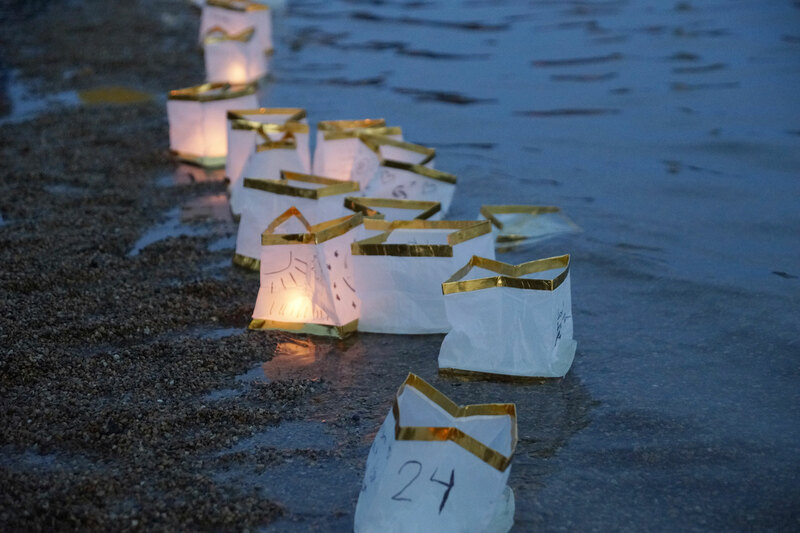 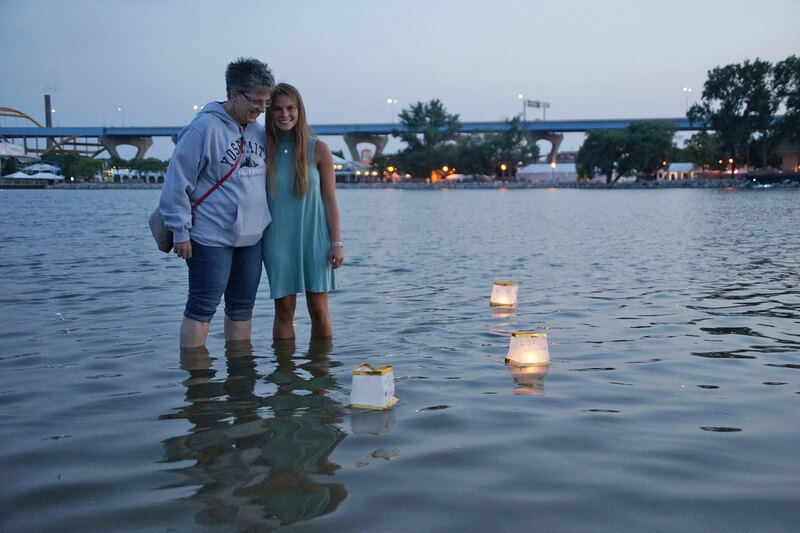 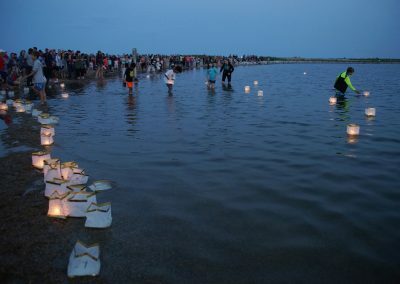 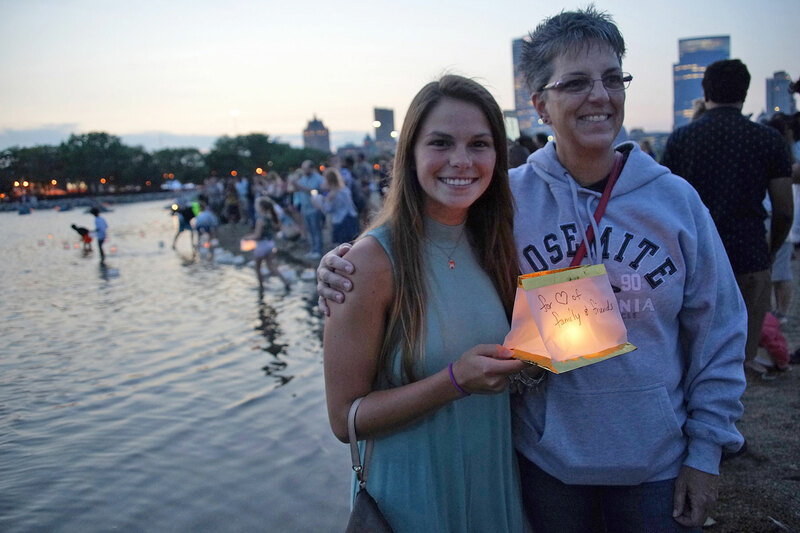 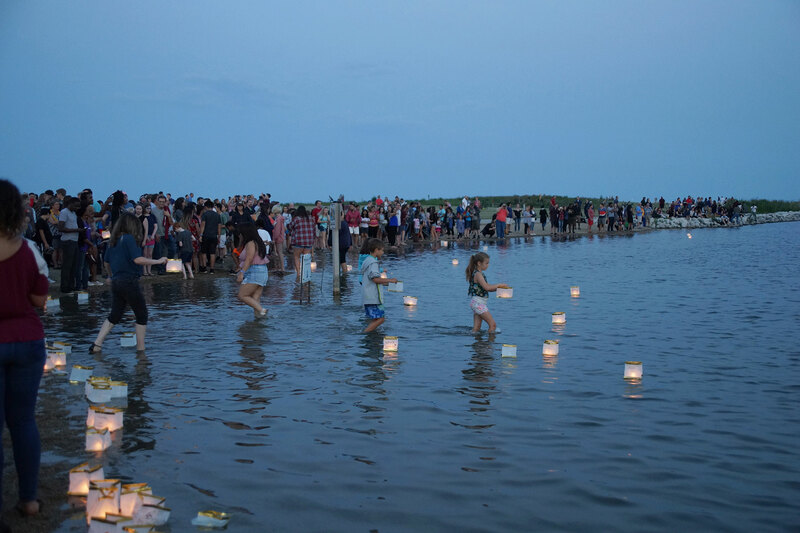 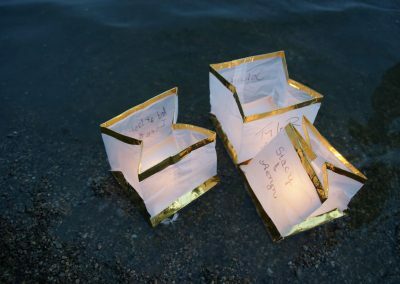 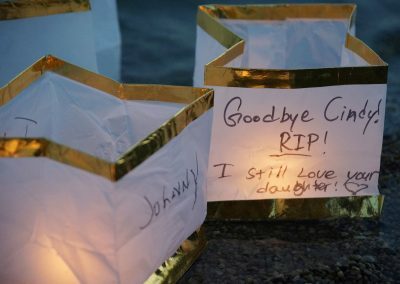 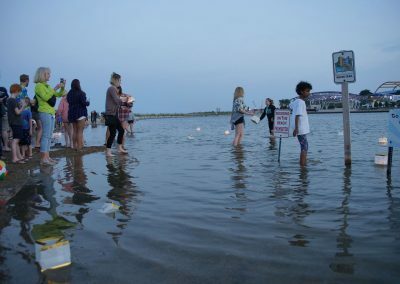 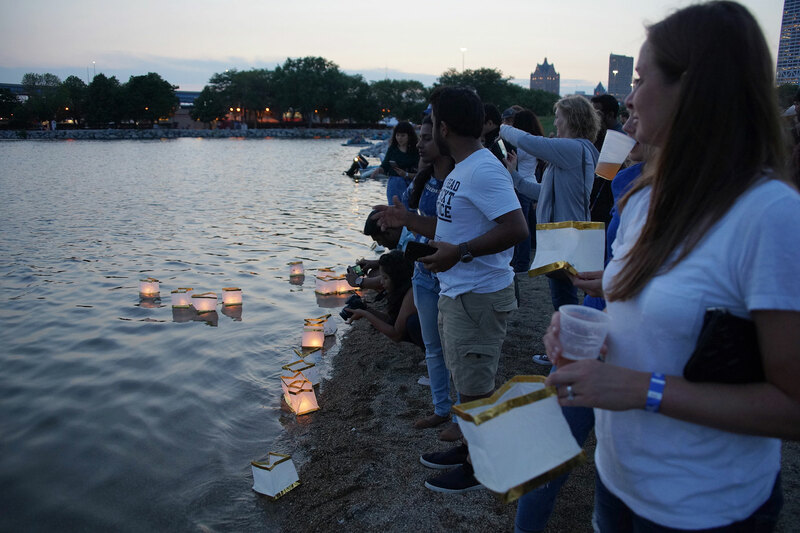 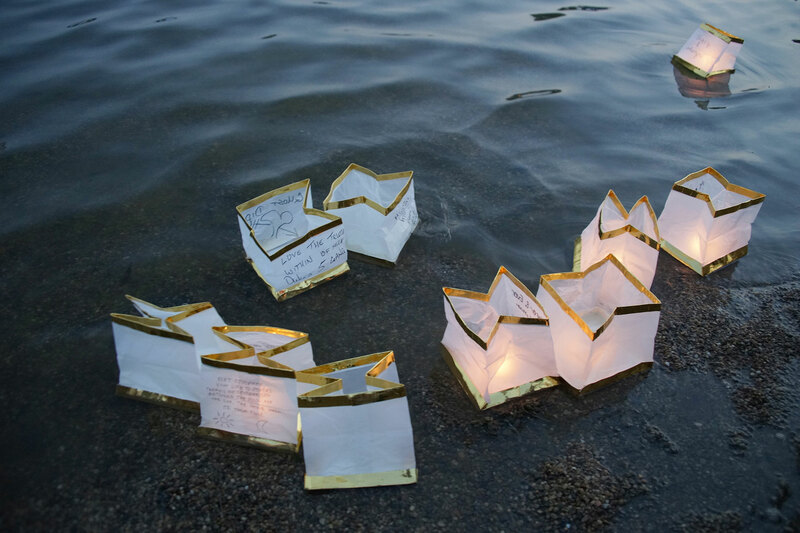 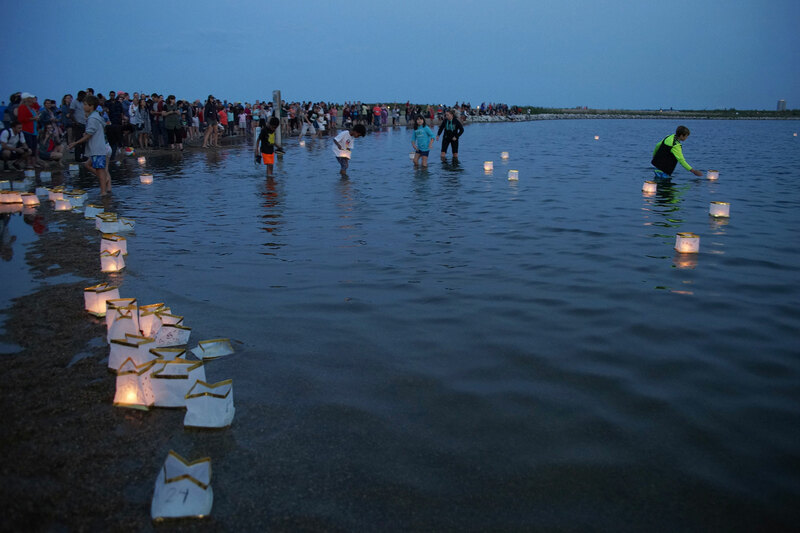 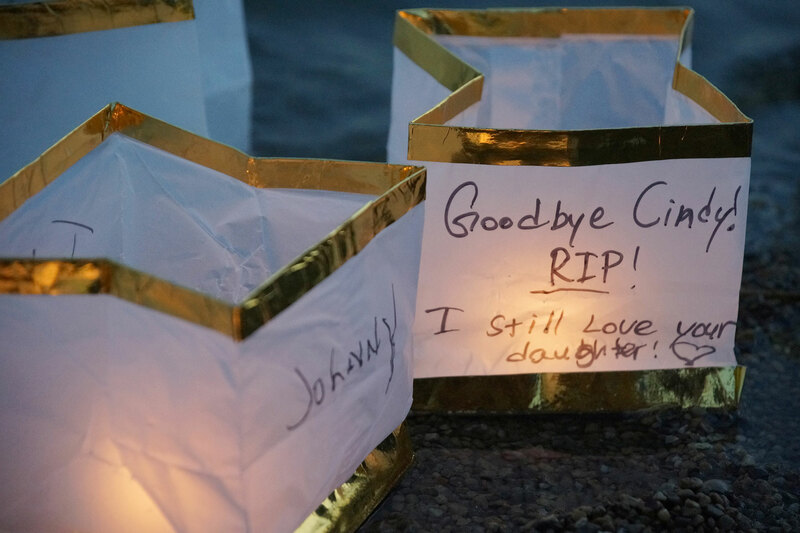 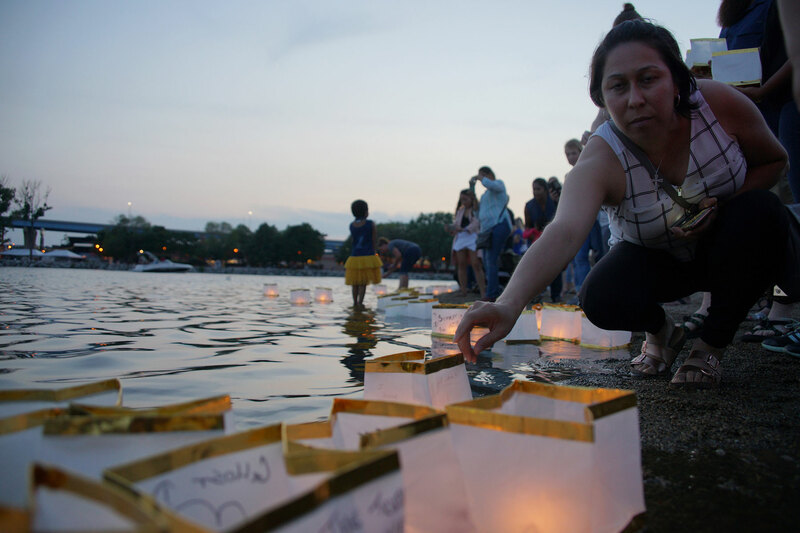 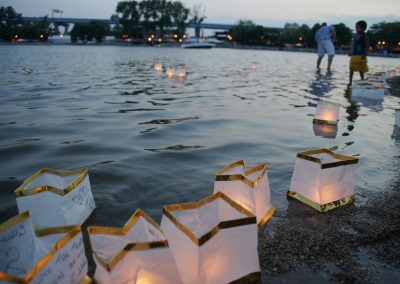 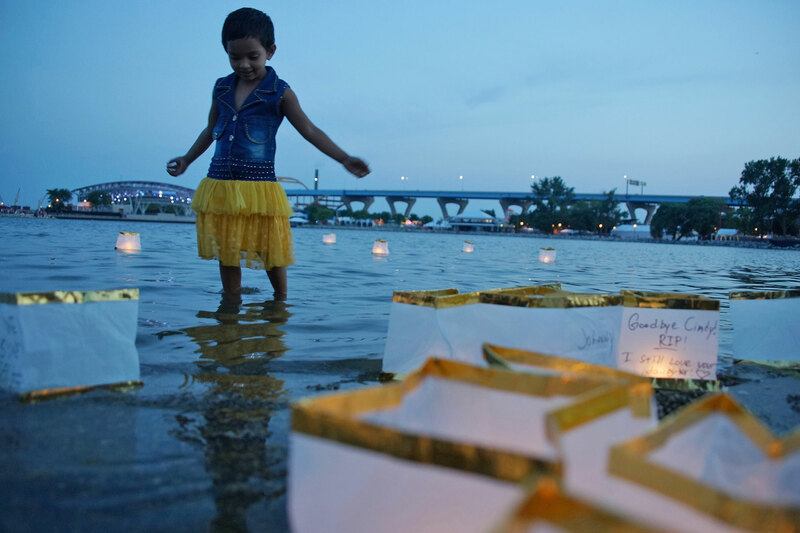 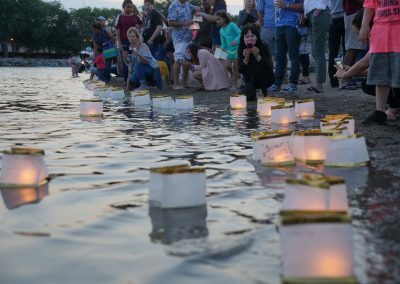 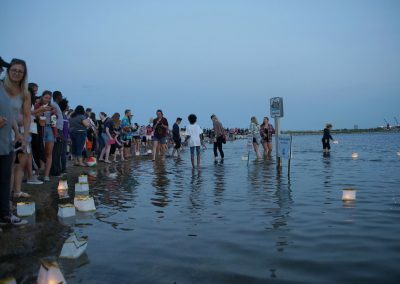 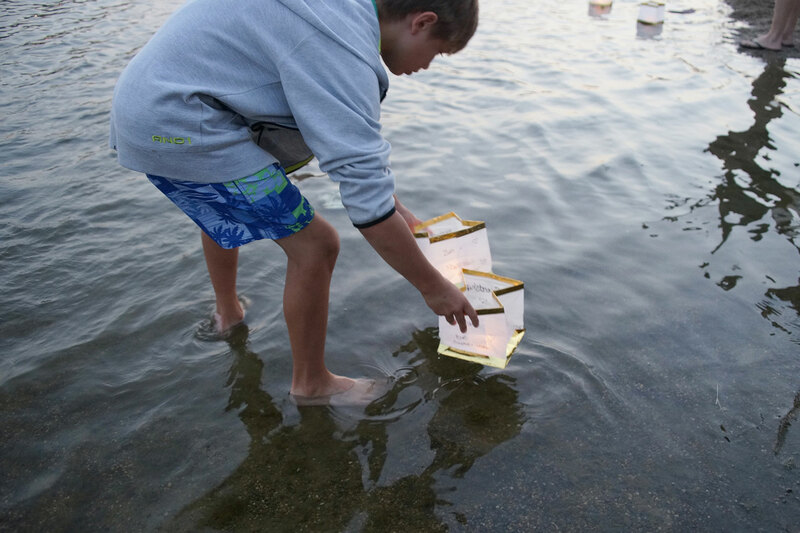 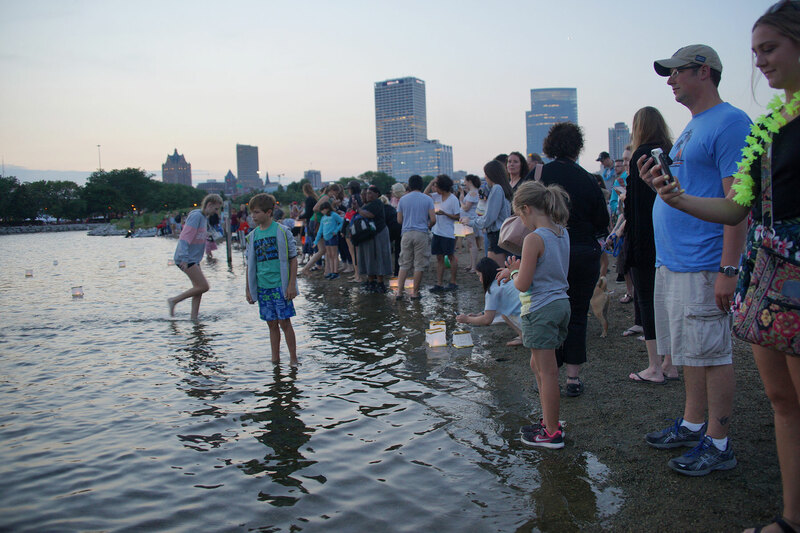 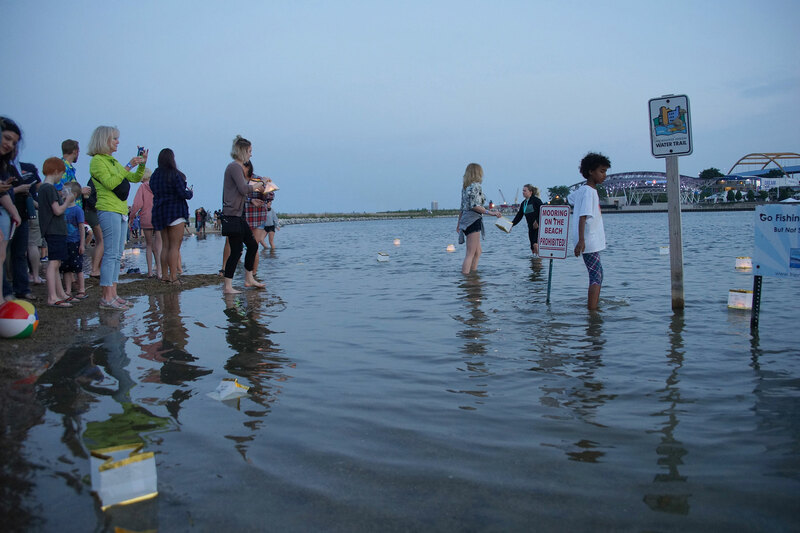 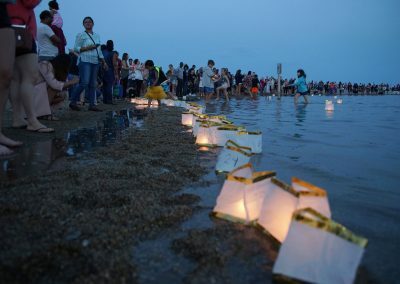 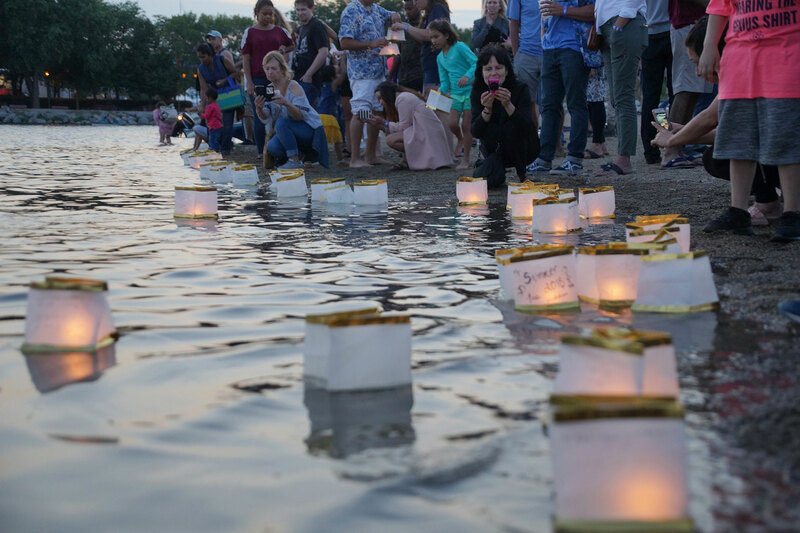 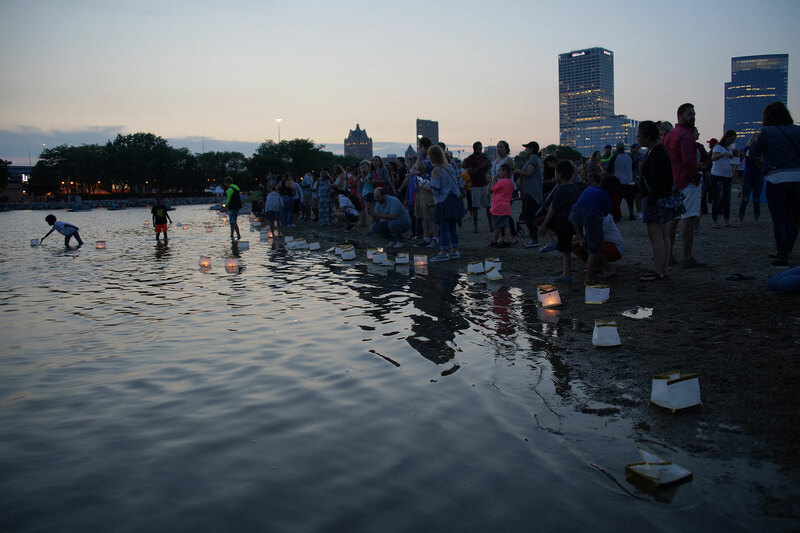 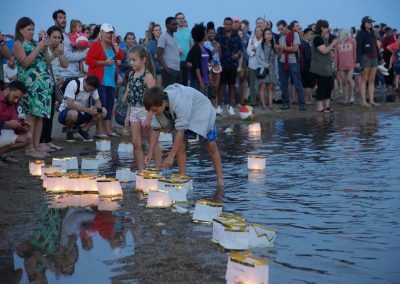 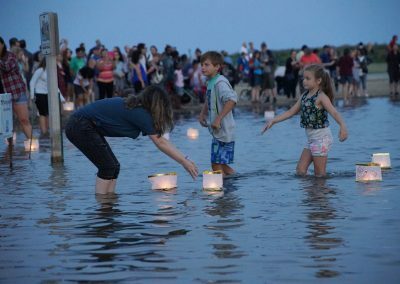 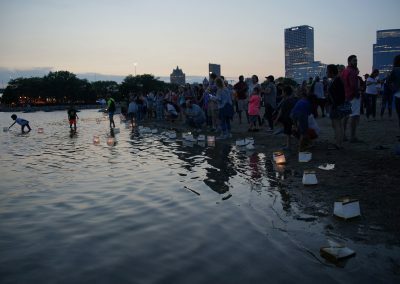 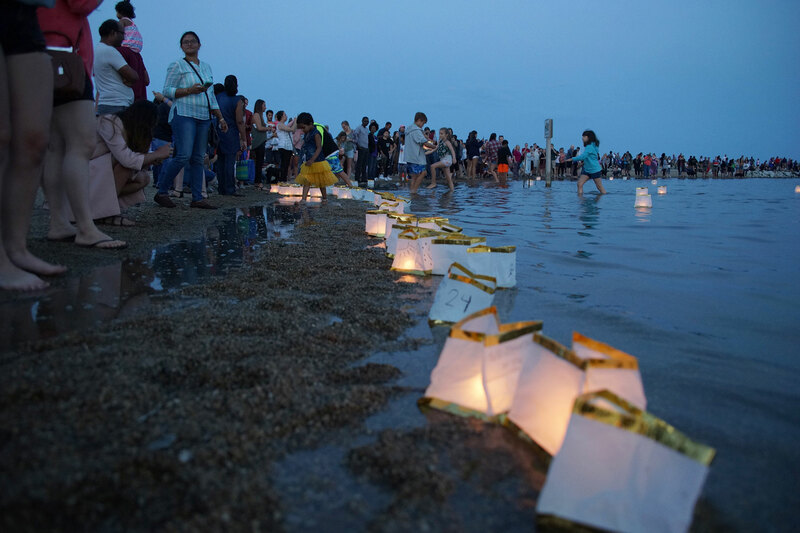 At dusk, guests lit and launched floating lanterns into the Lakeshore State Park inlet, along with a wish that suited their desires. 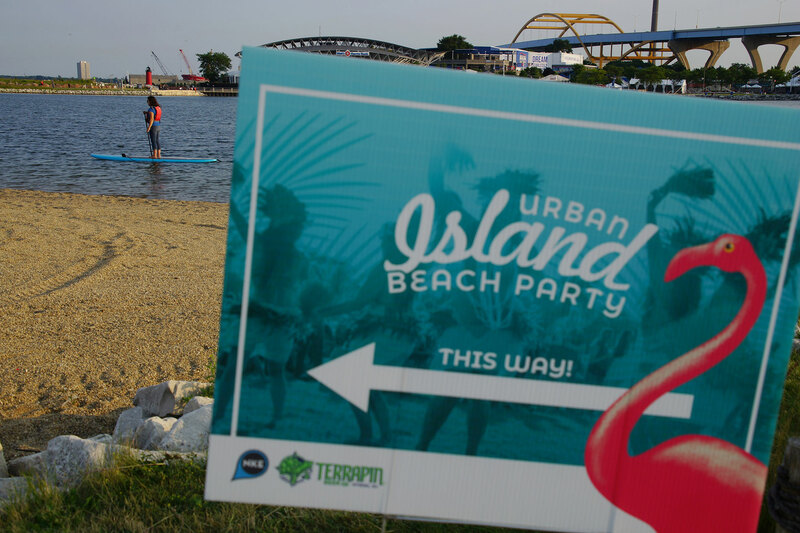 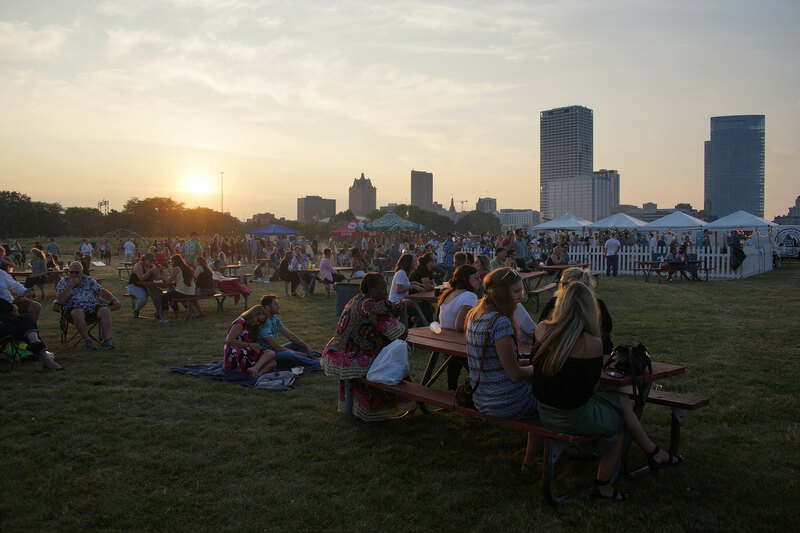 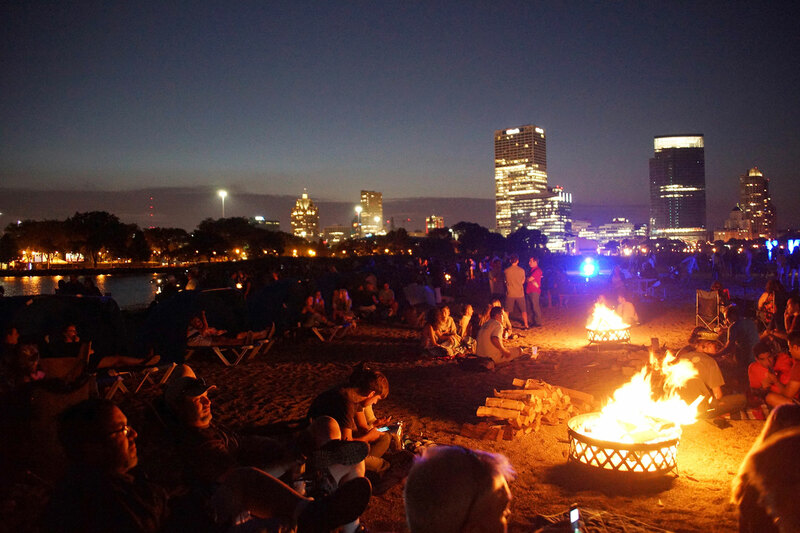 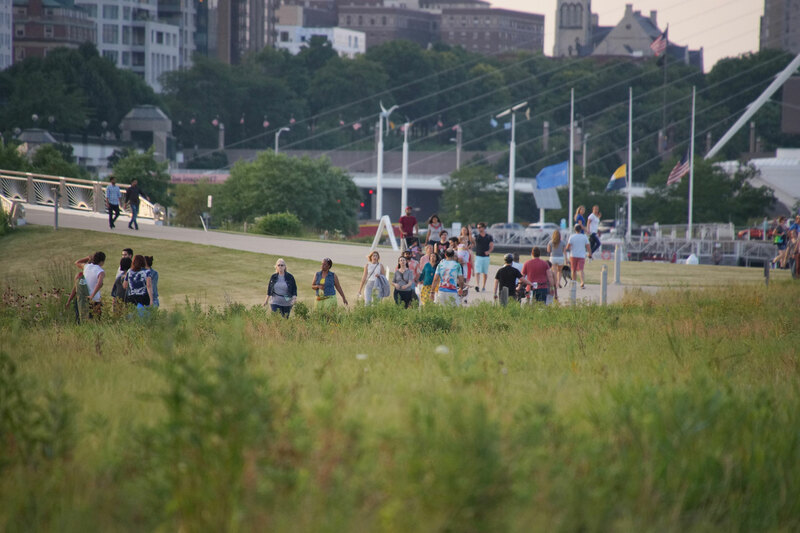 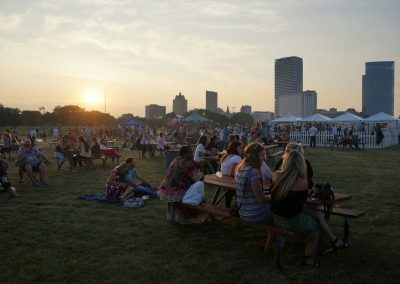 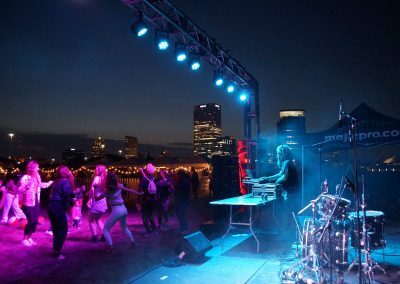 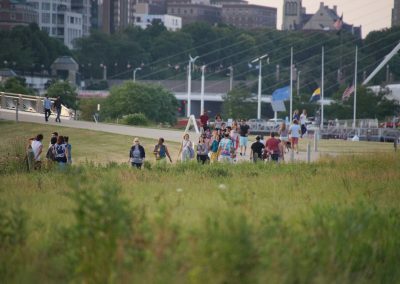 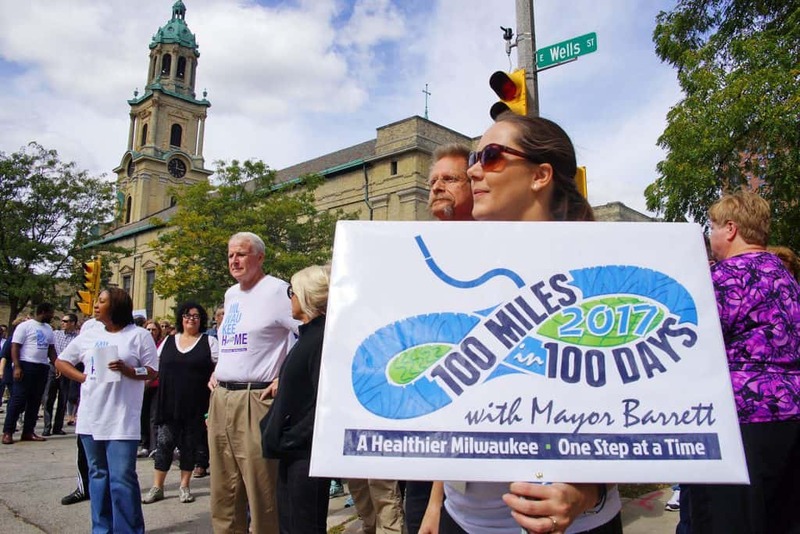 For close to a decade, the Urban Island Beach Party has been a free event for the Milwaukee public. 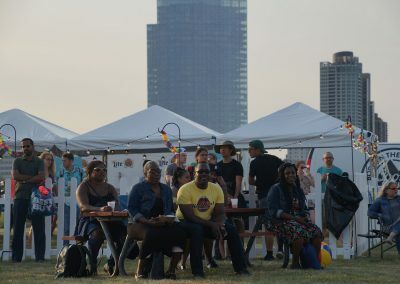 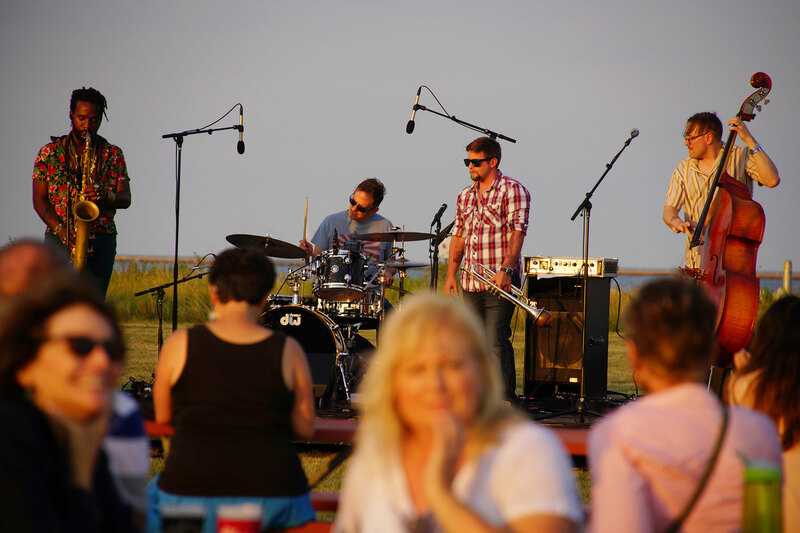 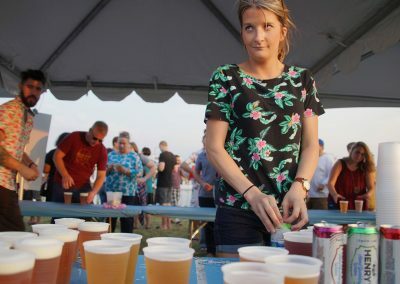 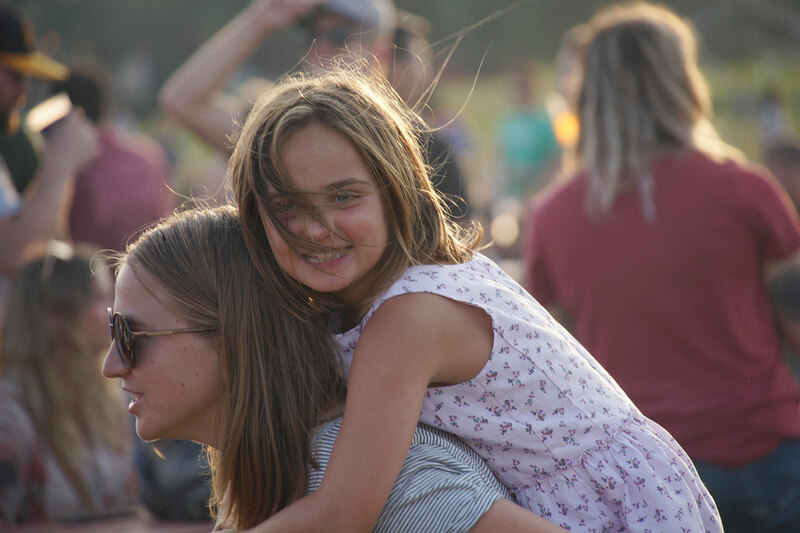 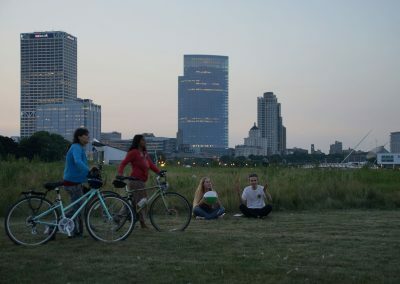 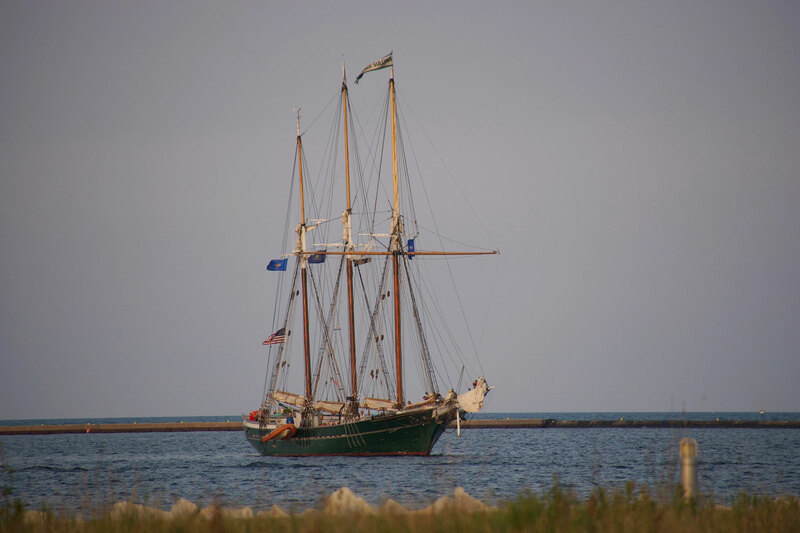 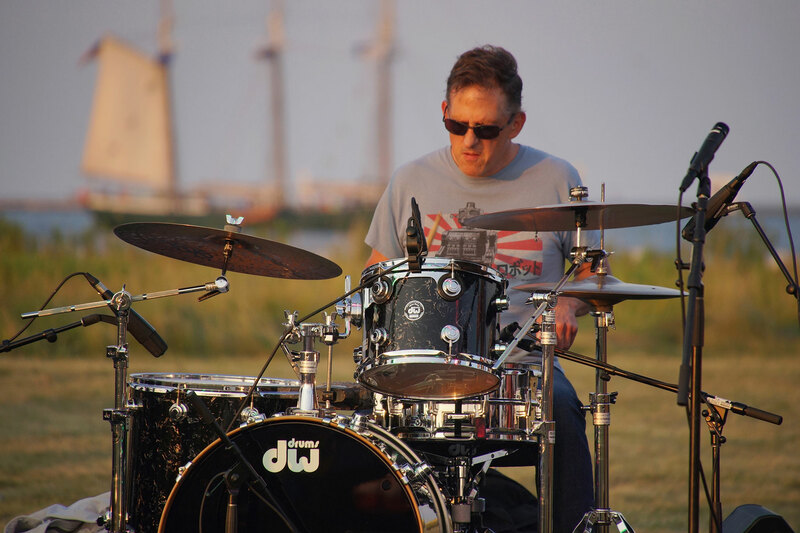 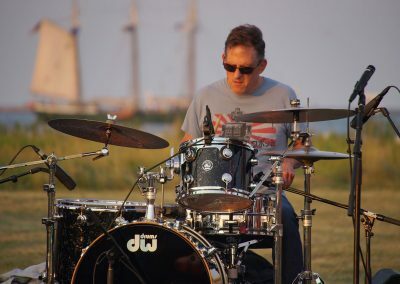 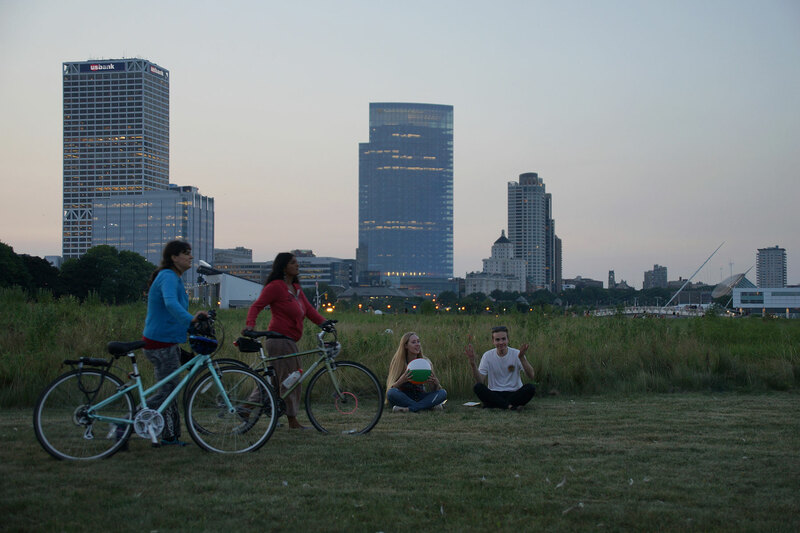 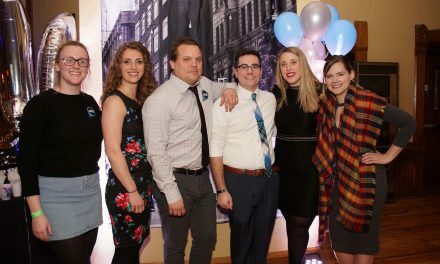 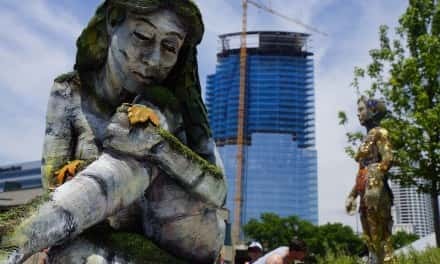 All proceeds from food and beverage sales have gone to benefit the Sustain and Maintain campaign for the Friends of Lakeshore State Park, helping the organization preserve the urban oasis and provide educational opportunities for the community. 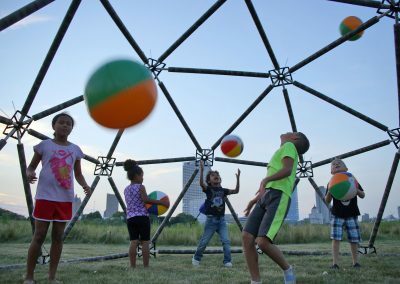 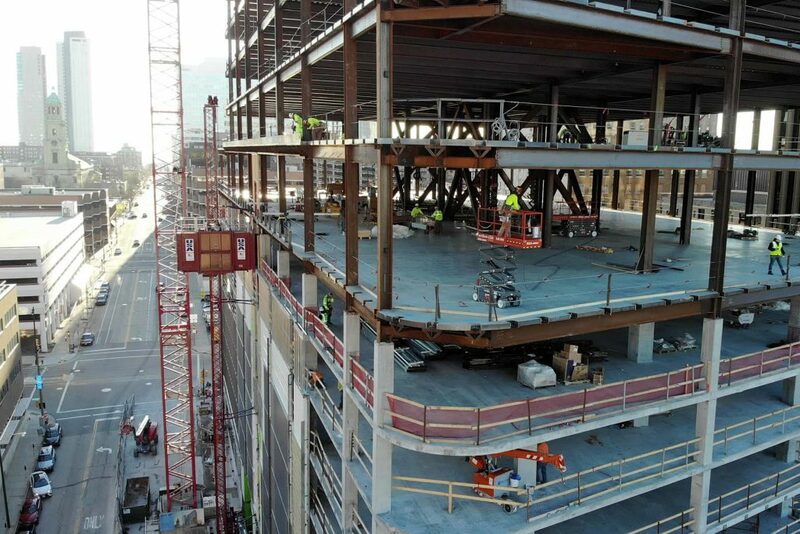 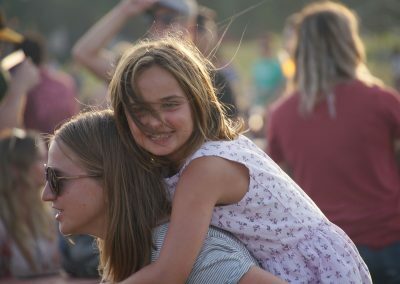 The park provides unique recreational opportunities and amenities for all to enjoy. 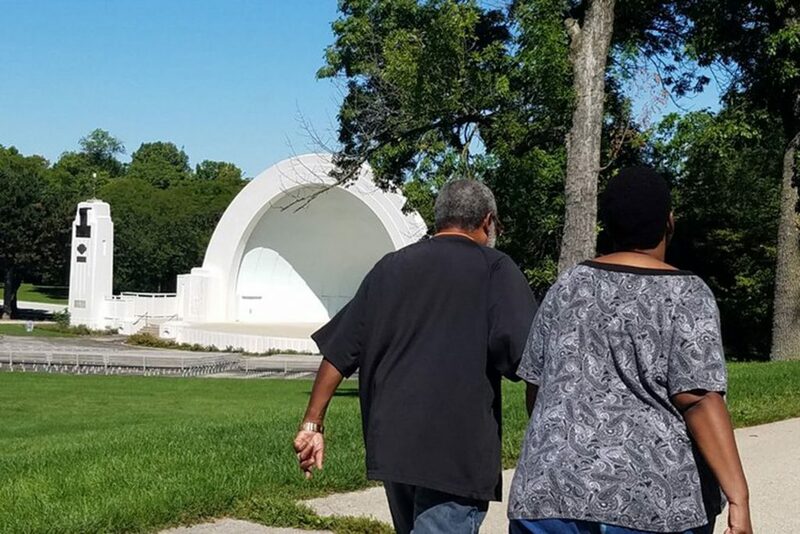 The 17-acre park includes a lakeside trail that connects to the Hank Aaron and Oak Leaf state trails. 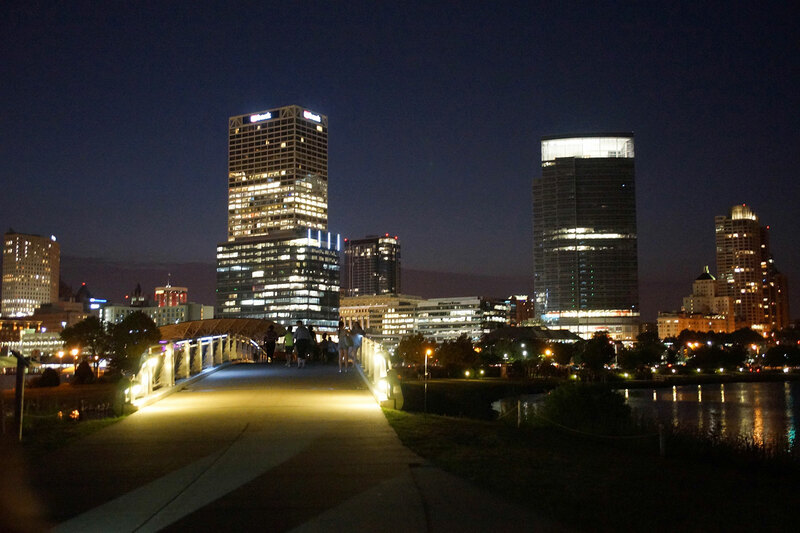 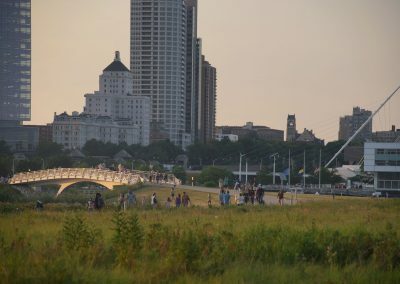 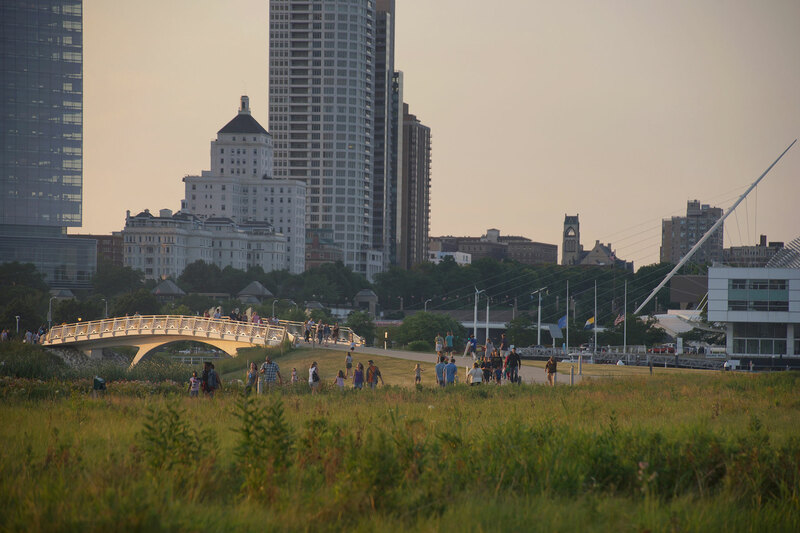 A 130-foot bridge connects the north end of the park to the Summerfest grounds and an extension of the land near the Marcus Amphitheater connects the south end. 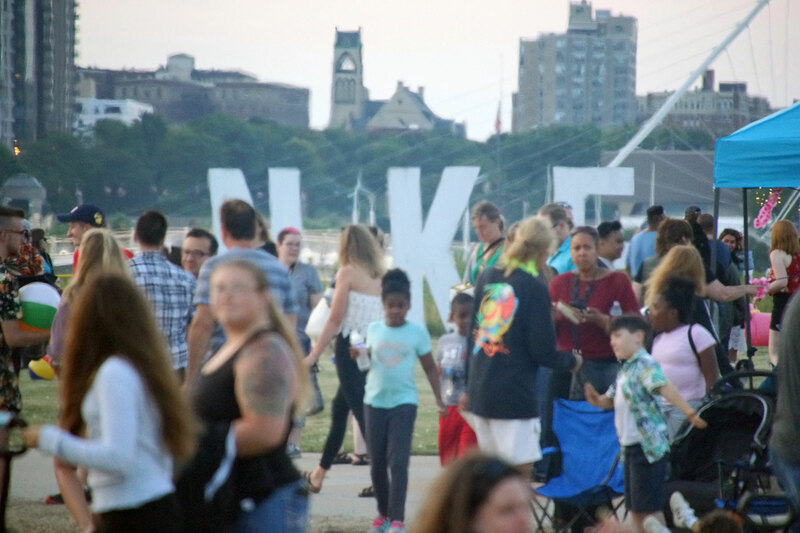 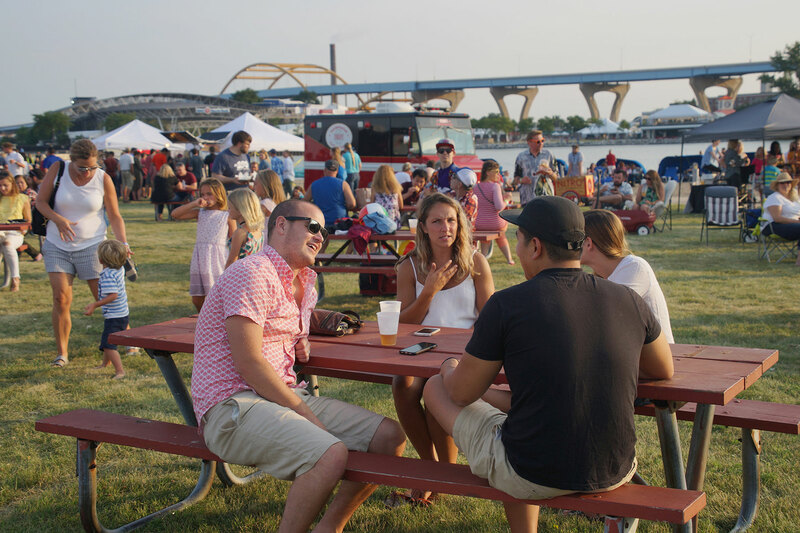 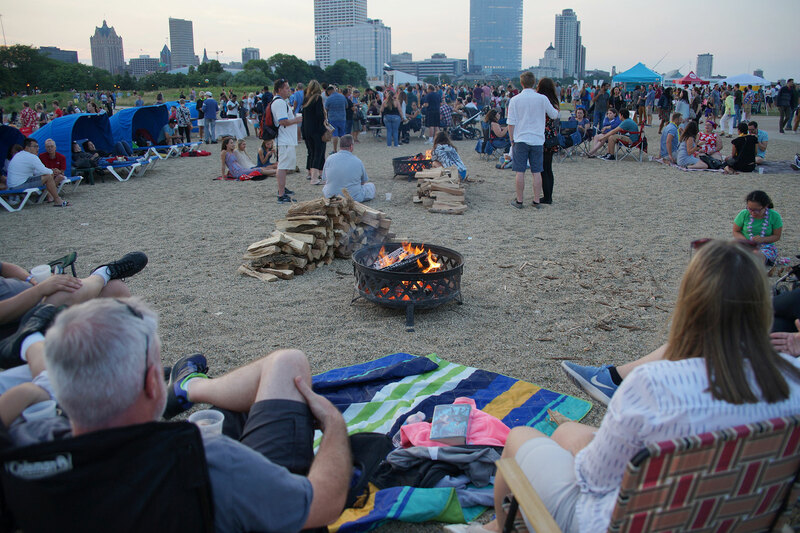 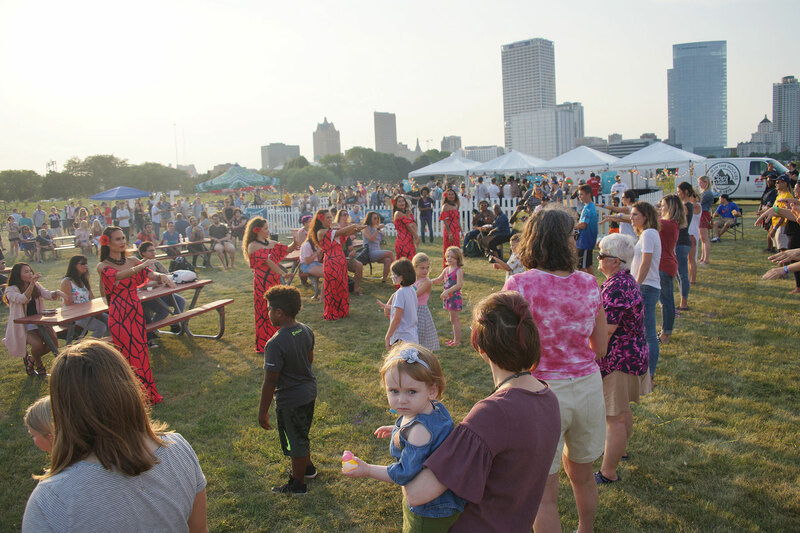 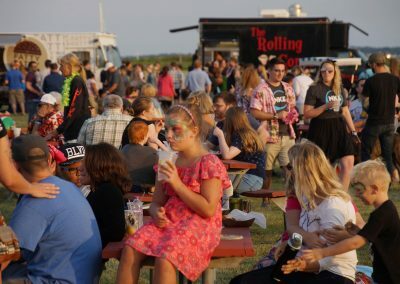 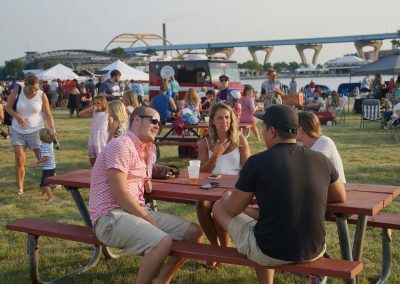 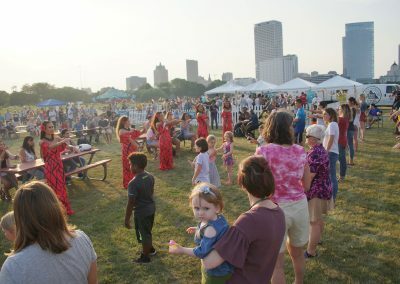 The NEWaukee’s 8th annual Urban Island Beach Party featured local vendors including Iron Grate BBQ, Rolling Cone Food Truck, Pete’s Pops, and Happy Dough Lucky. 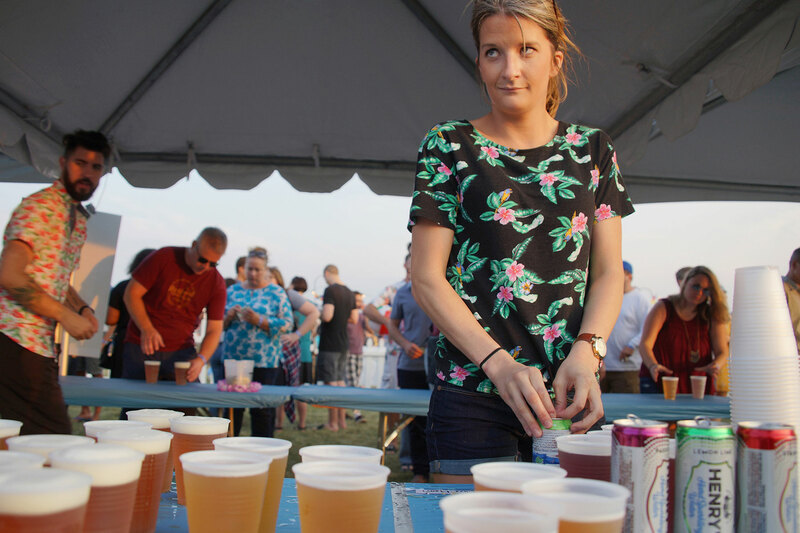 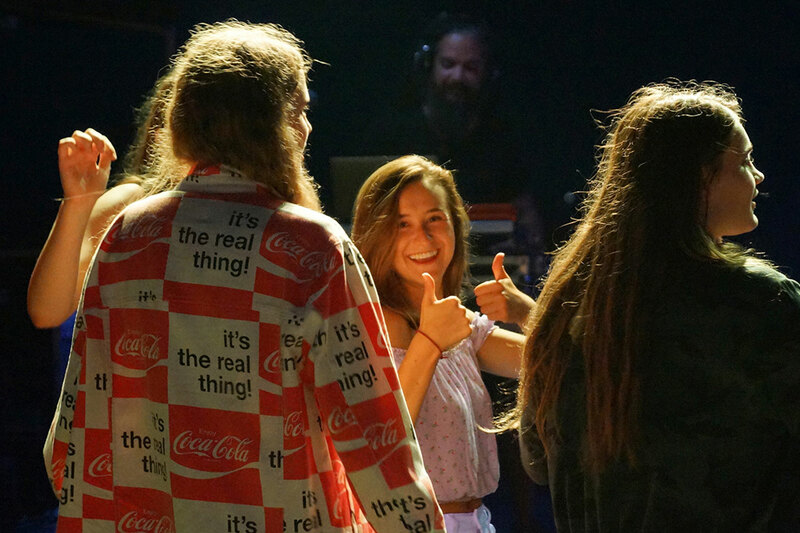 The Terrapin Beer Garden also offered an assortment of beverages. The Milwaukee Kayak Company provided rides within the Park’s inlet. 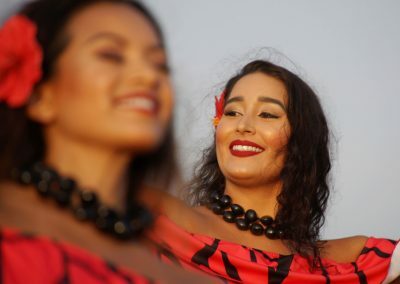 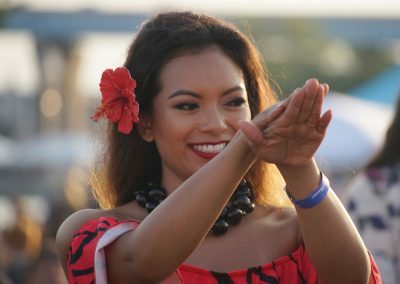 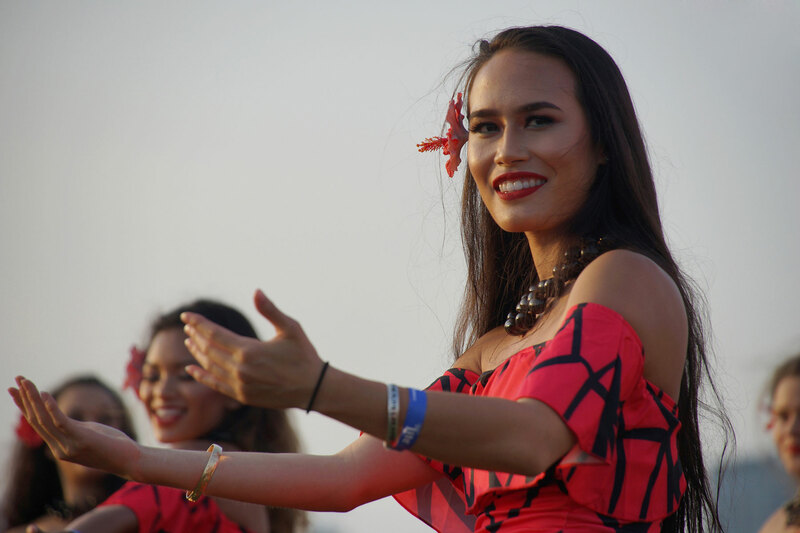 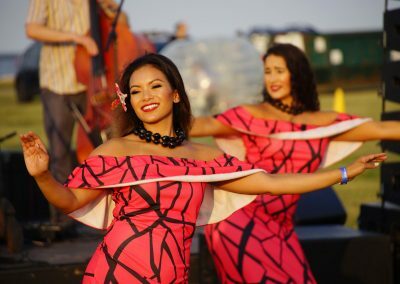 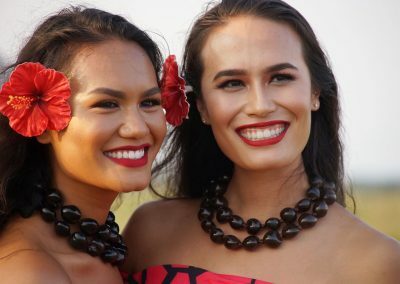 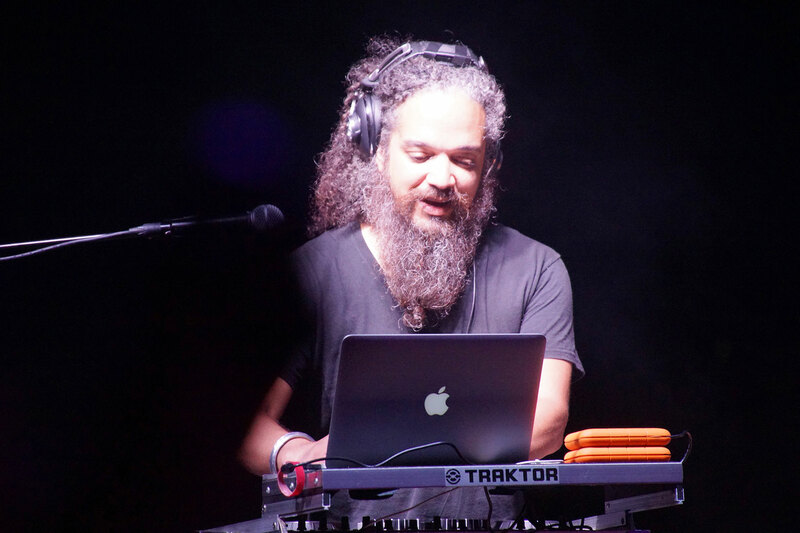 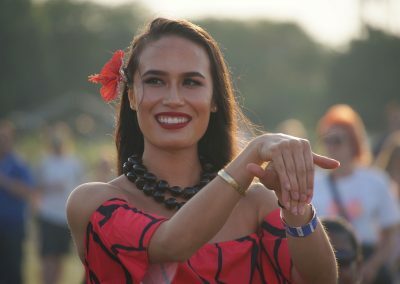 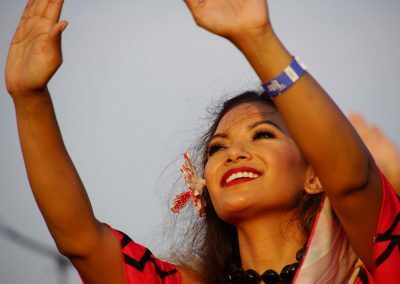 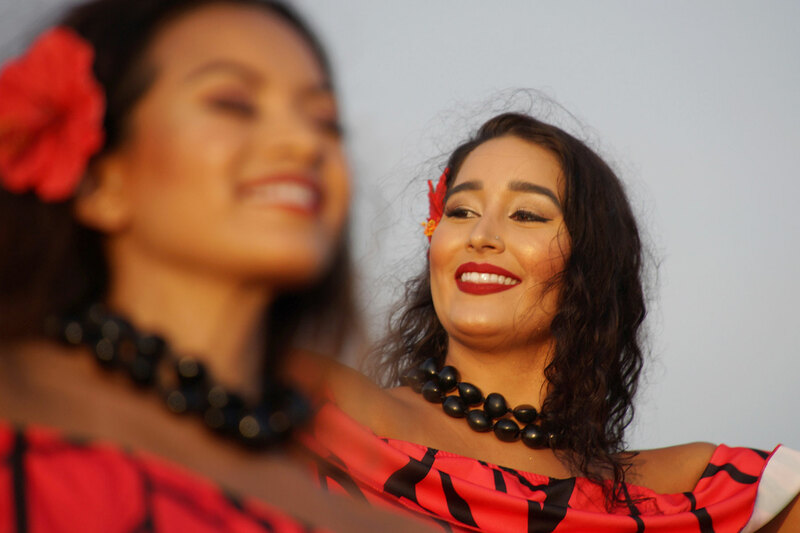 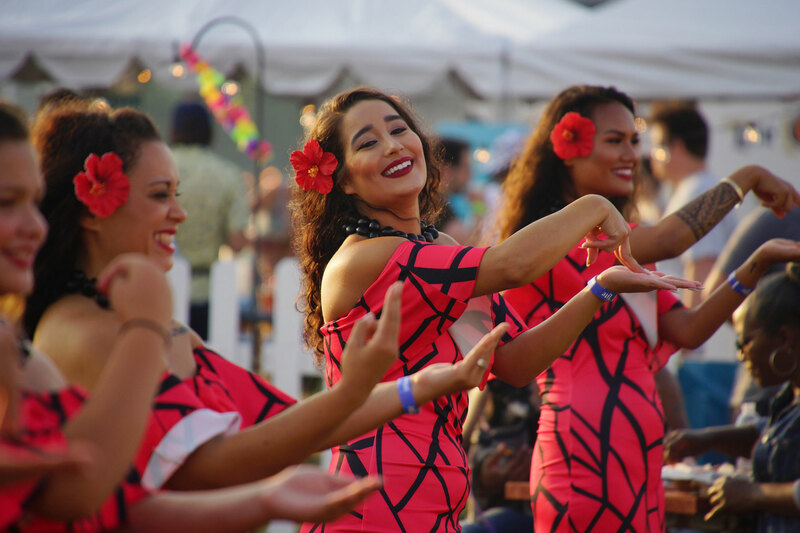 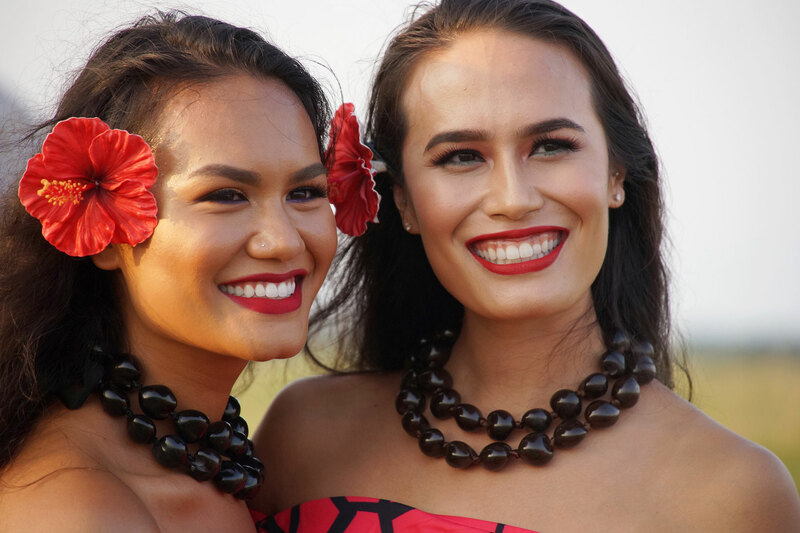 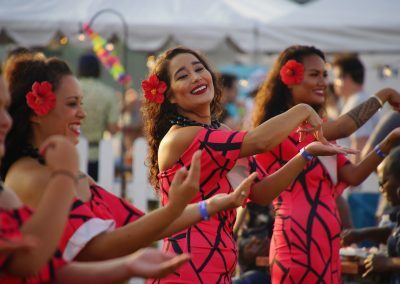 Live entertainment was performed by Unity the Band, Hot by Ziggy, Foreign Goods, Marcus Doucette, and the Hale O Malo Dance Group.